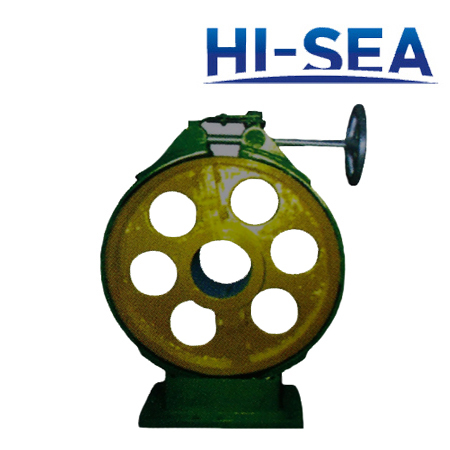 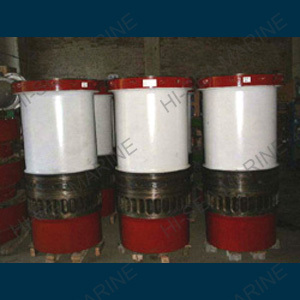 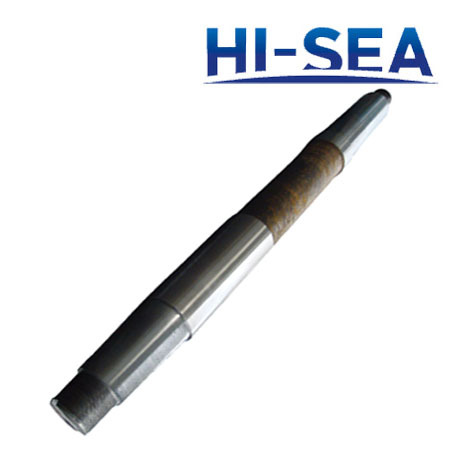 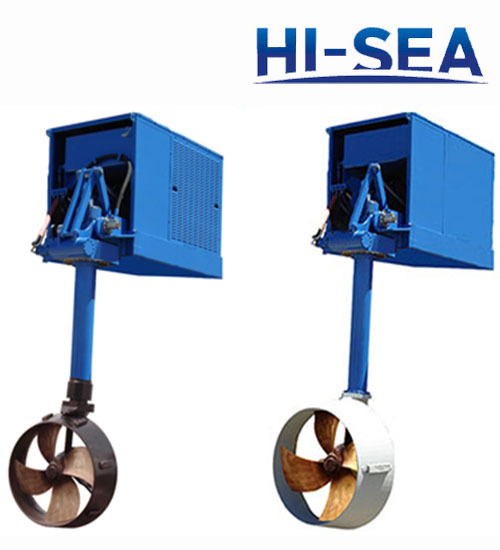 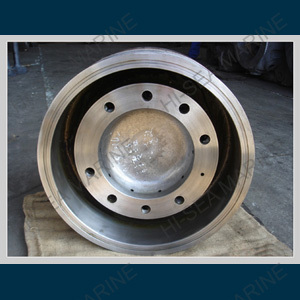 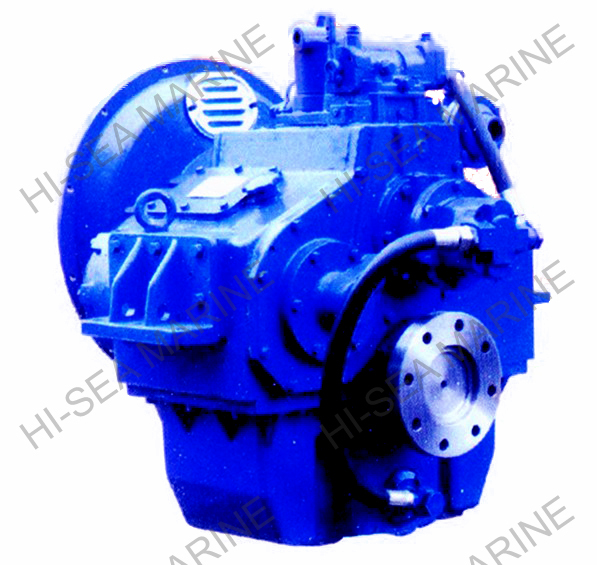 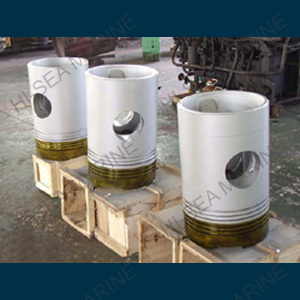 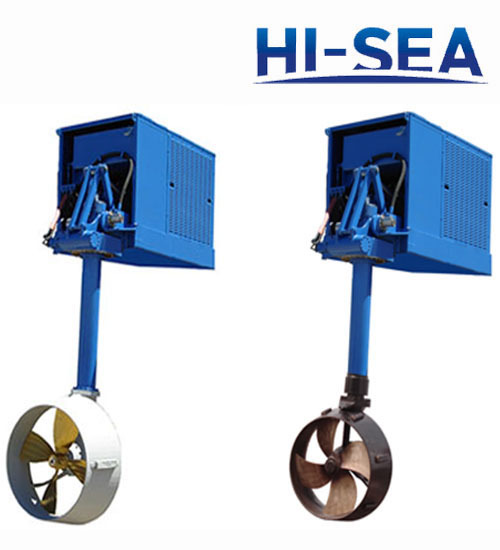 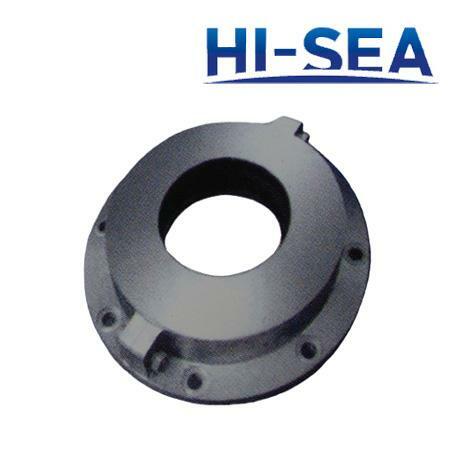 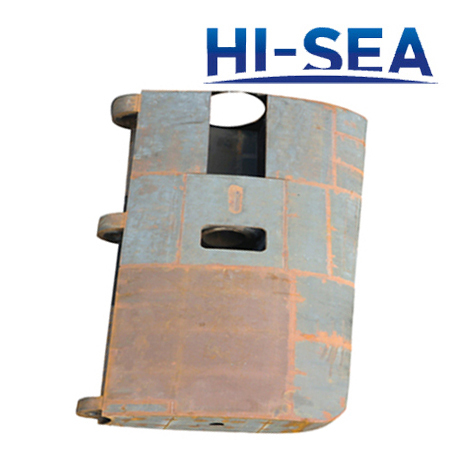 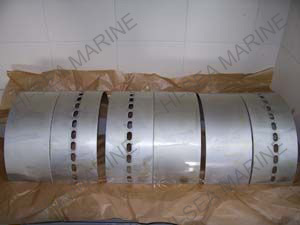 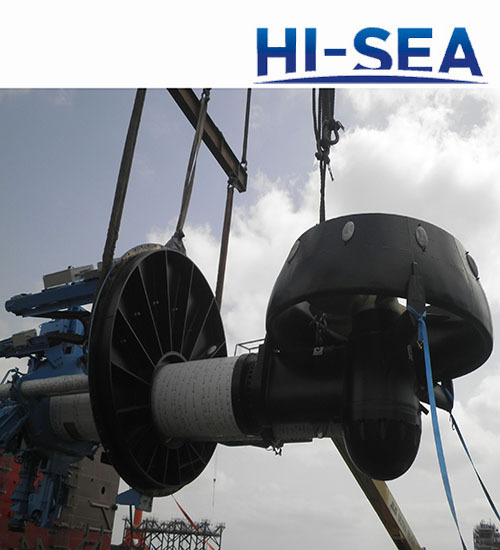 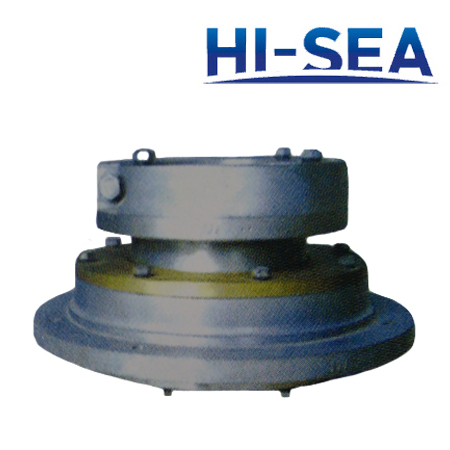 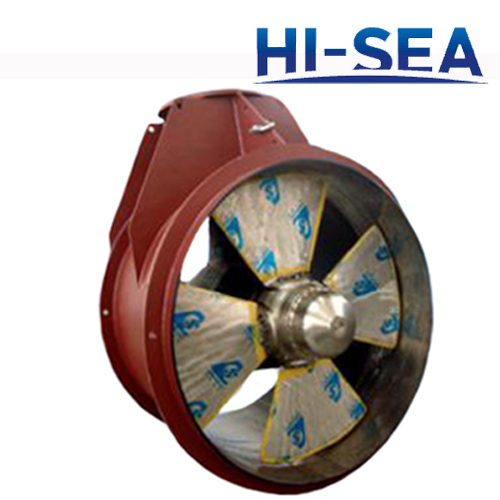 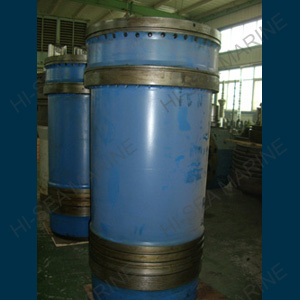 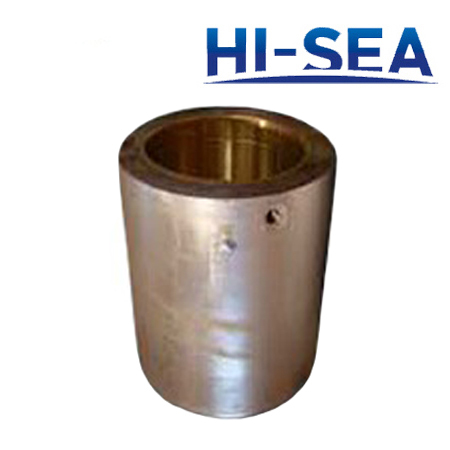 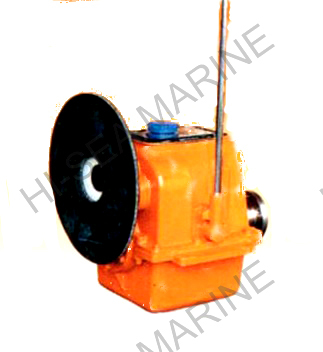 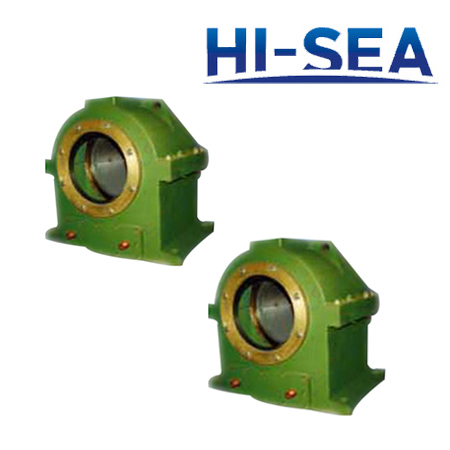 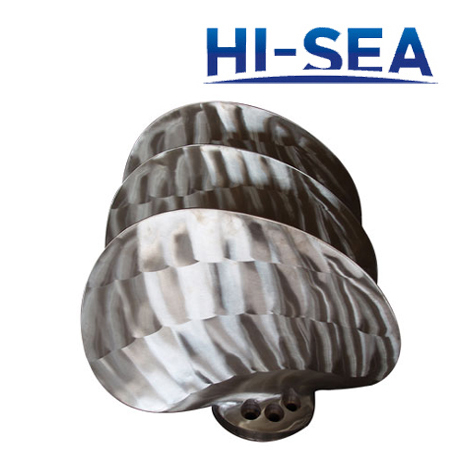 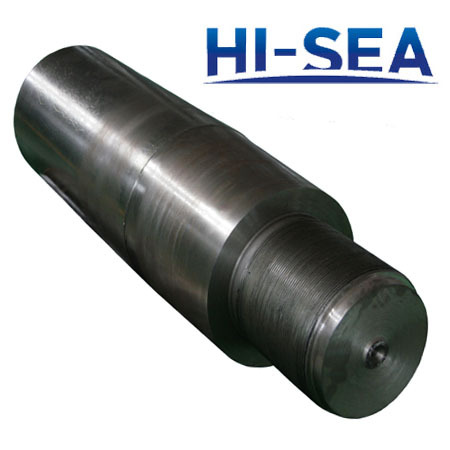 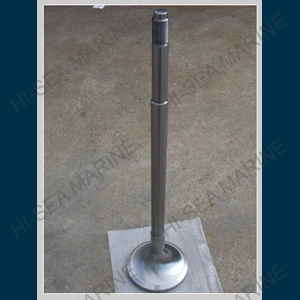 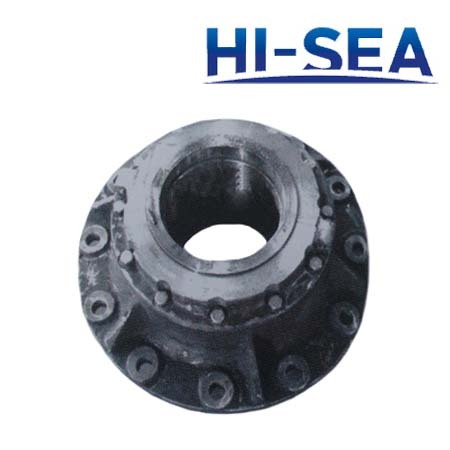 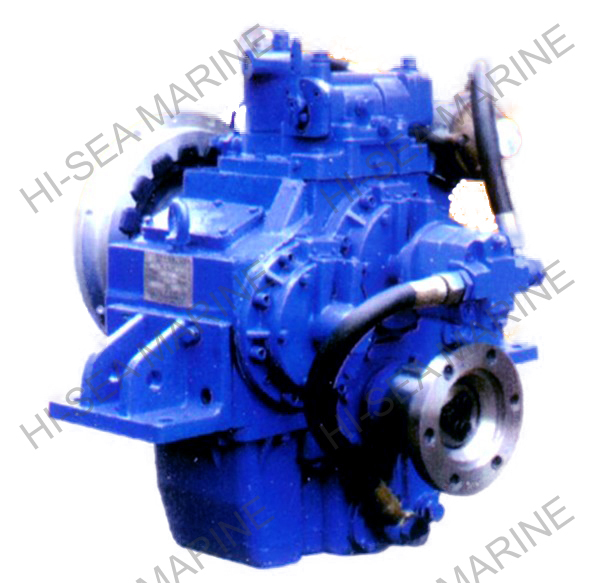 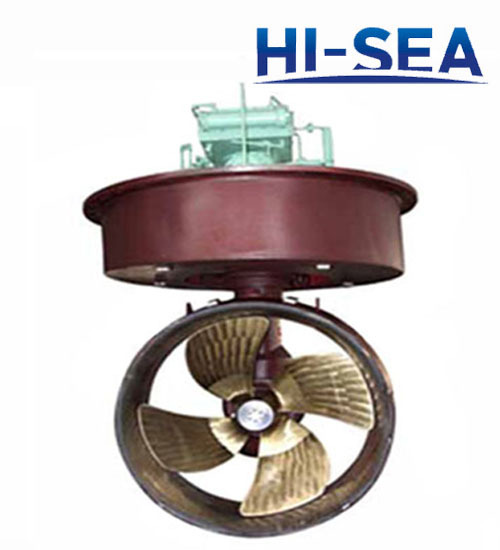 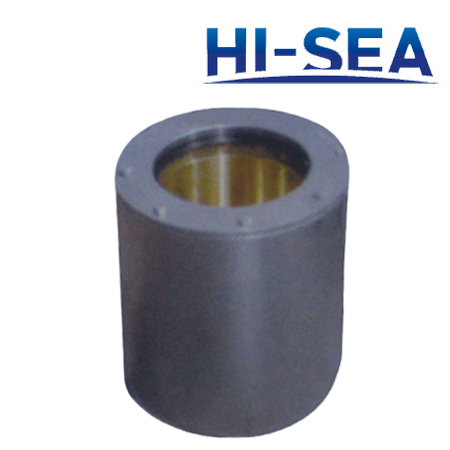 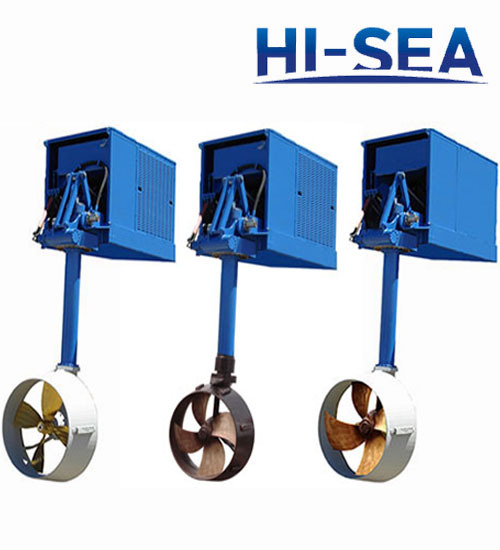 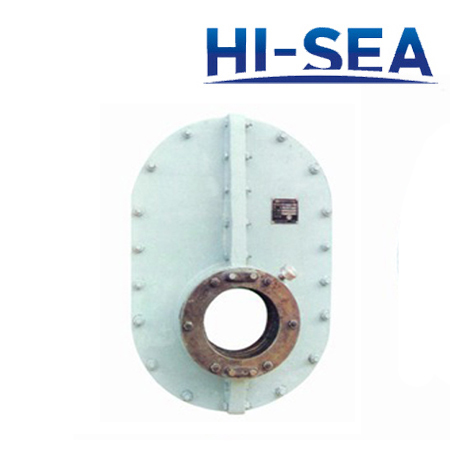 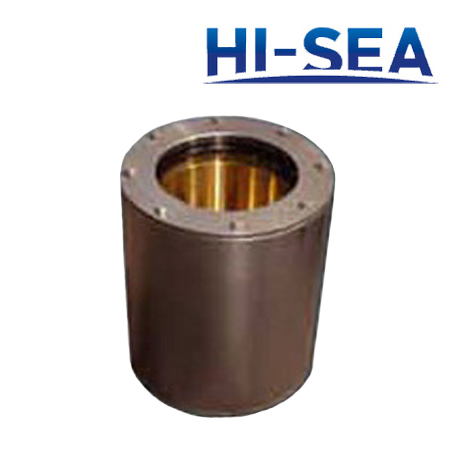 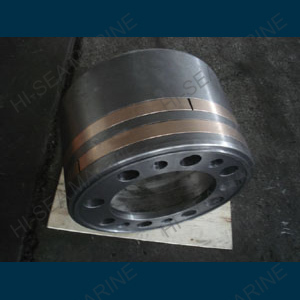 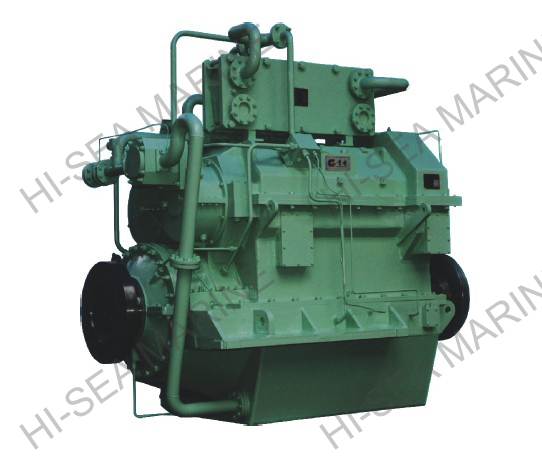 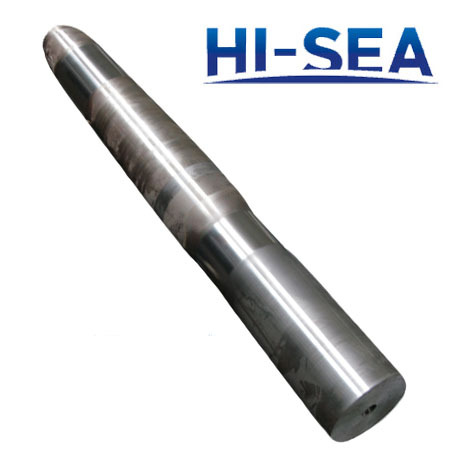 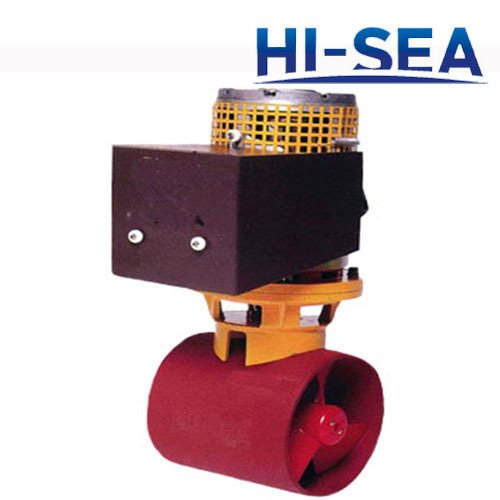 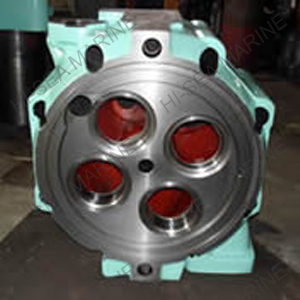 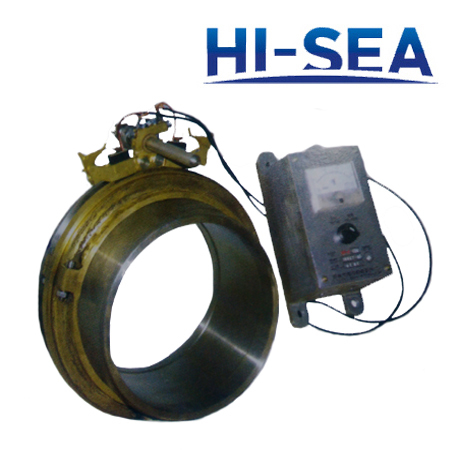 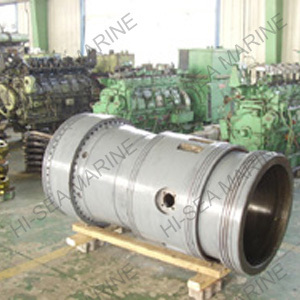 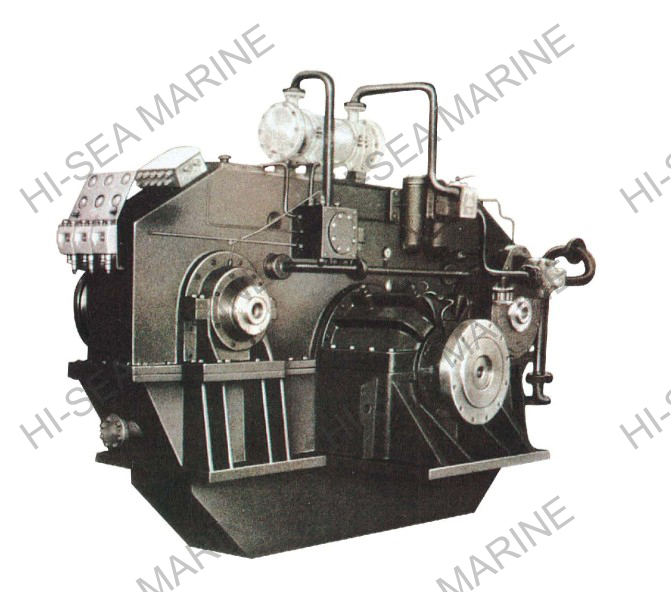 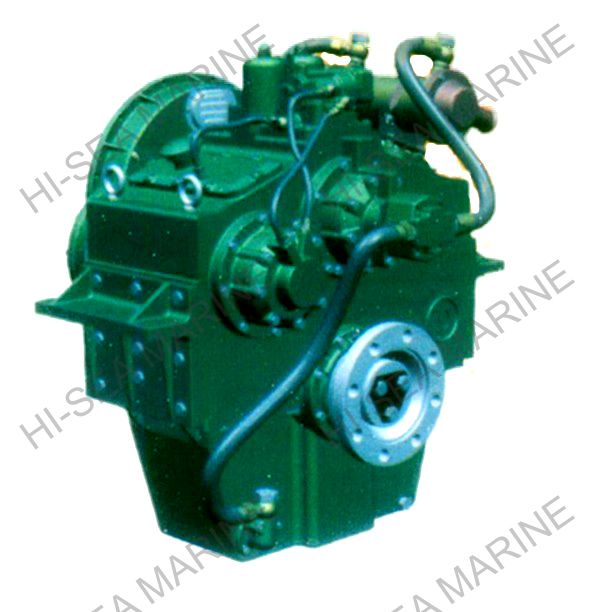 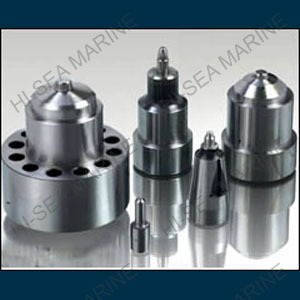 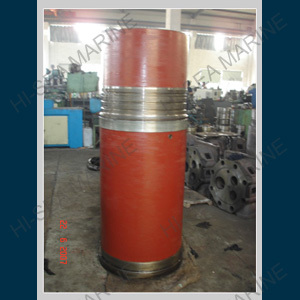 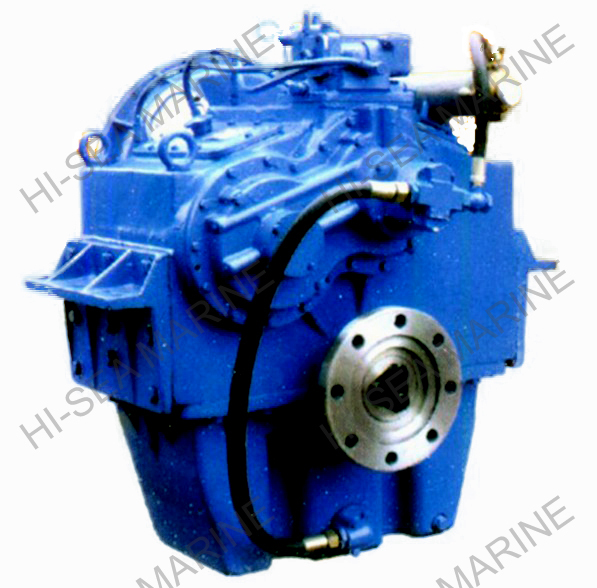 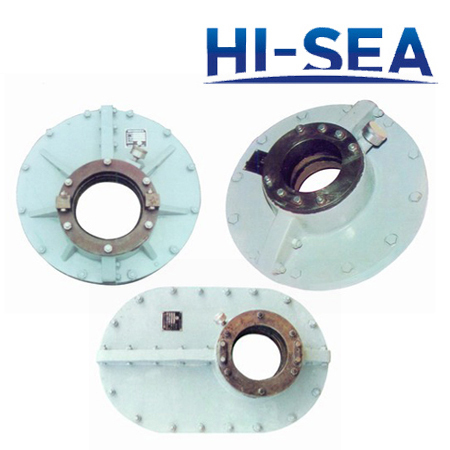 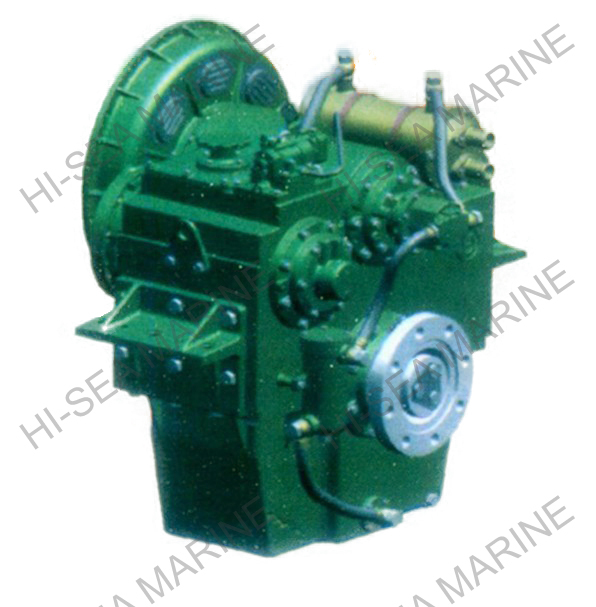 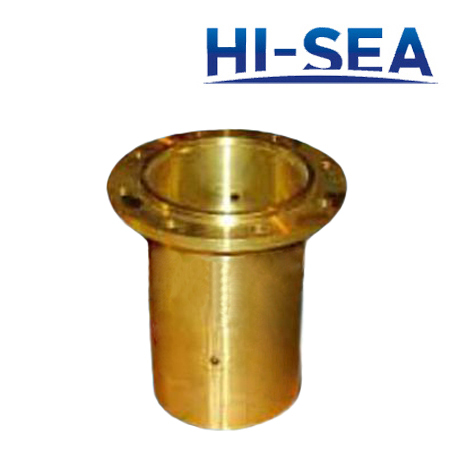 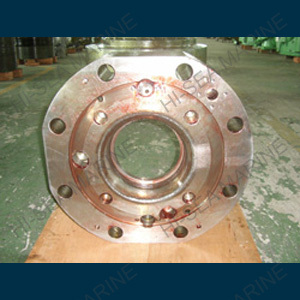 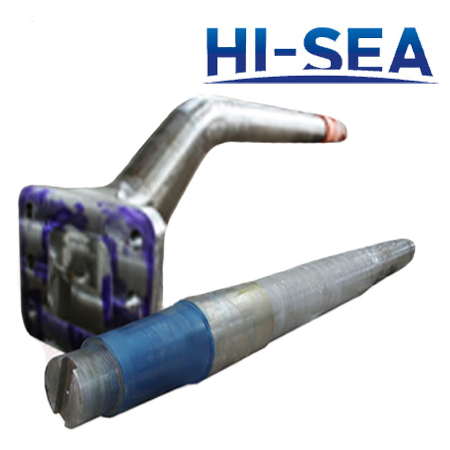 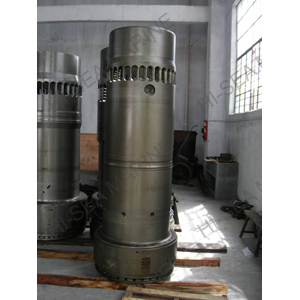 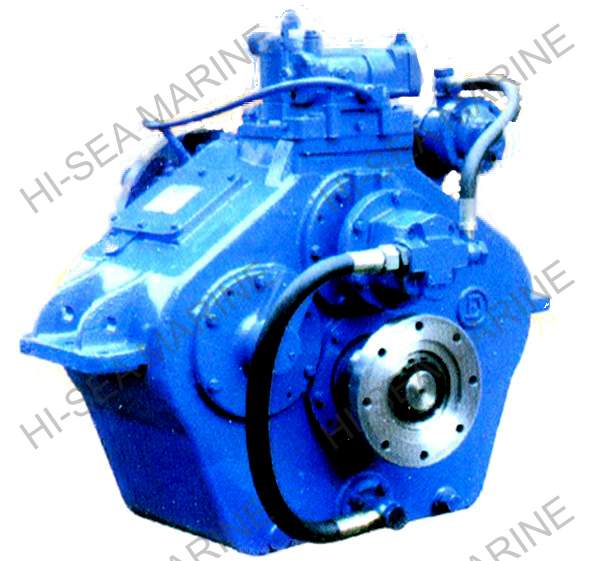 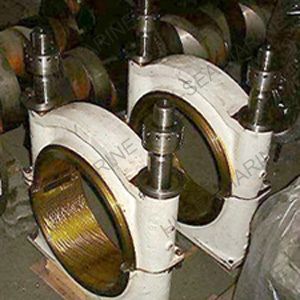 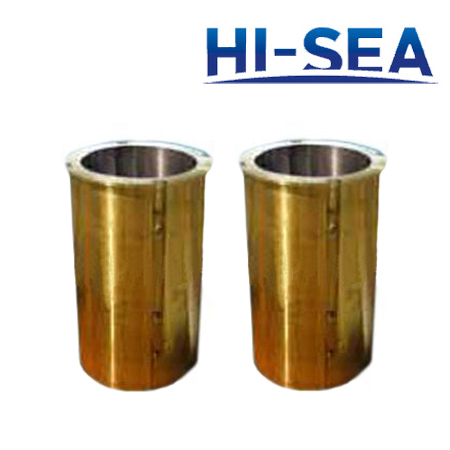 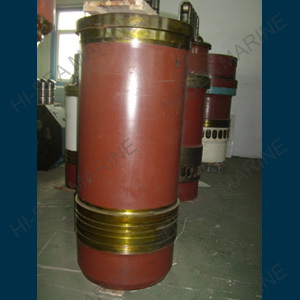 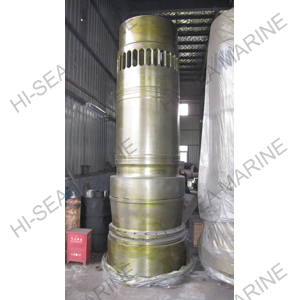 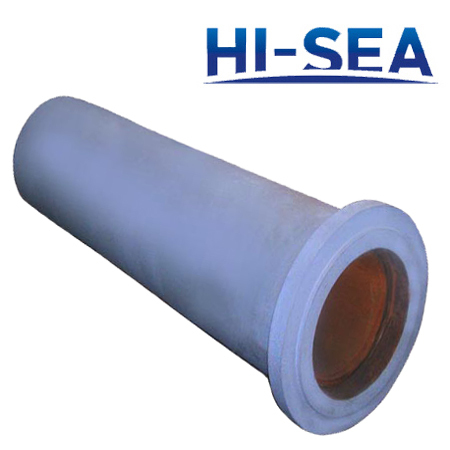 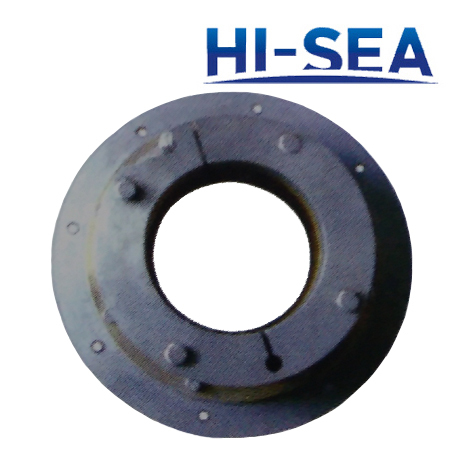 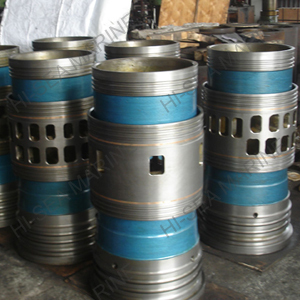 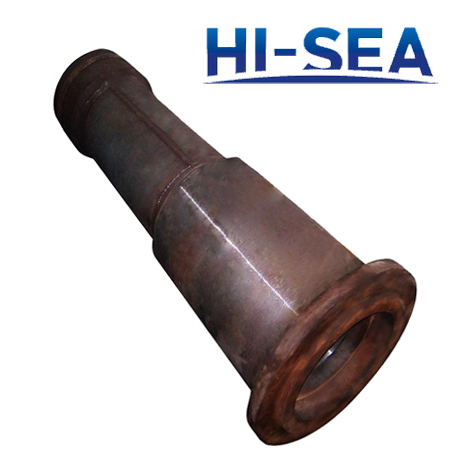 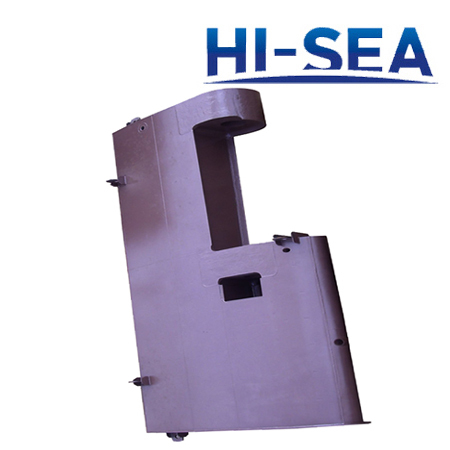 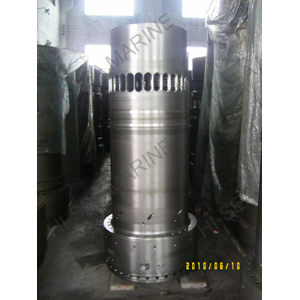 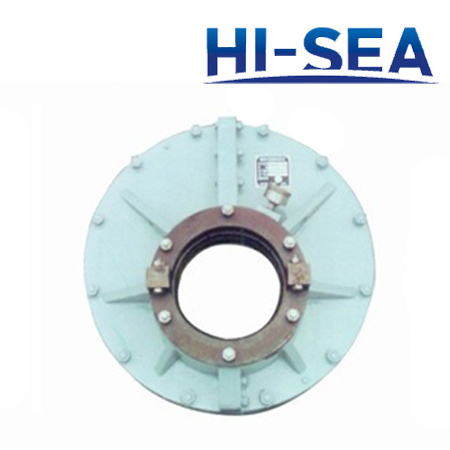 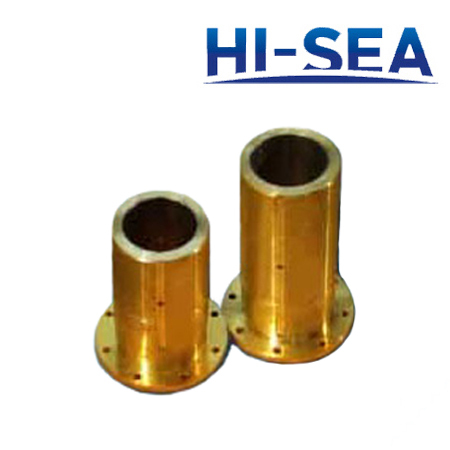 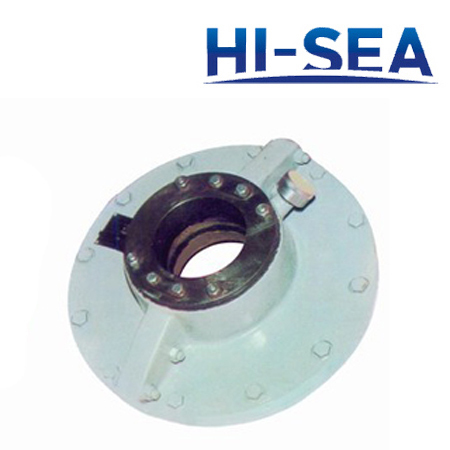 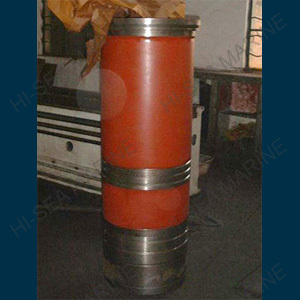 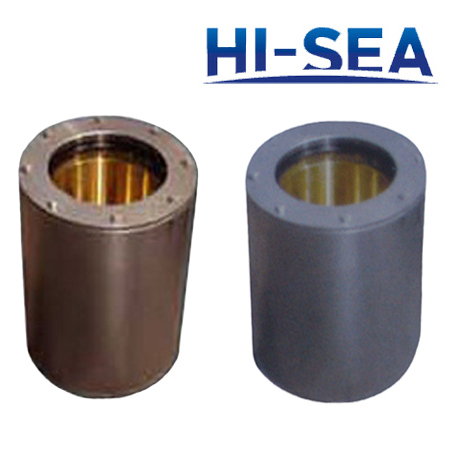 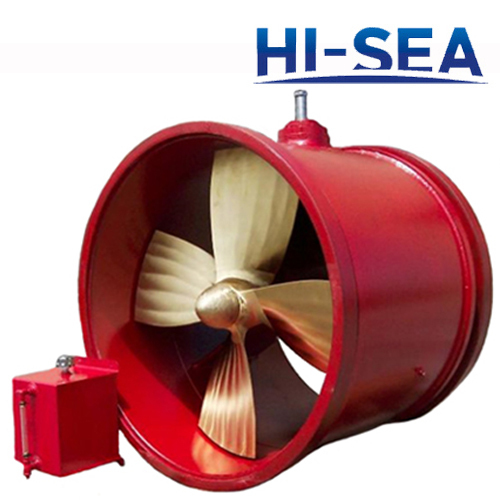 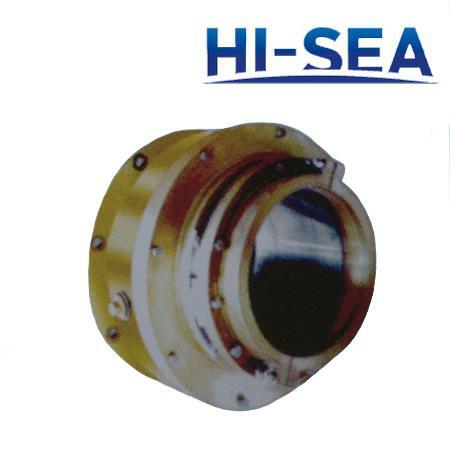 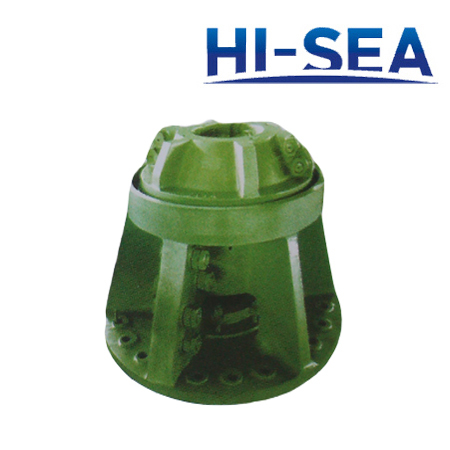 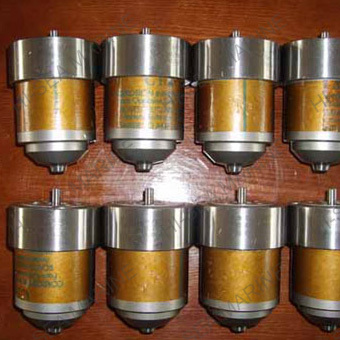 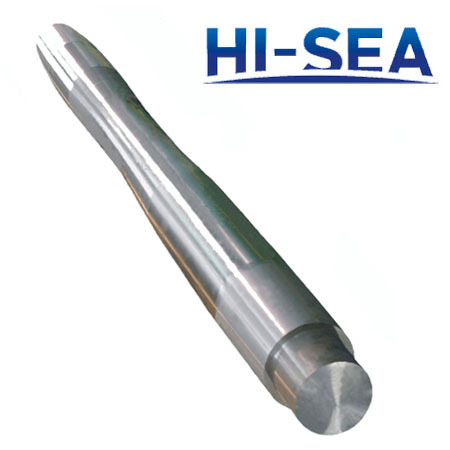 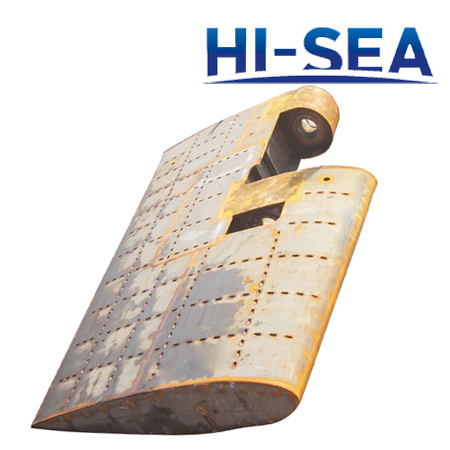 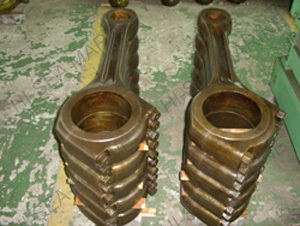 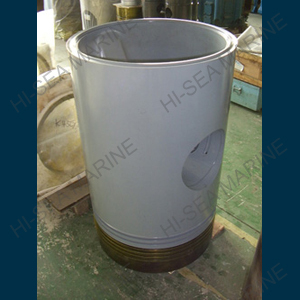 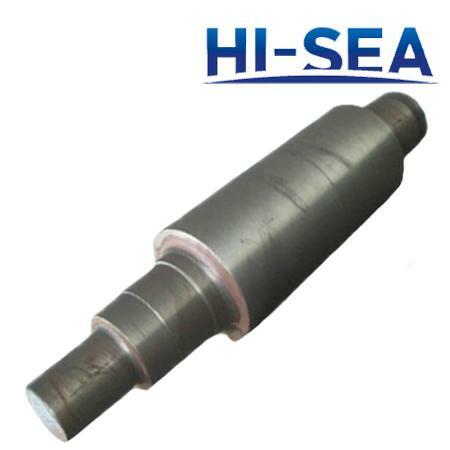 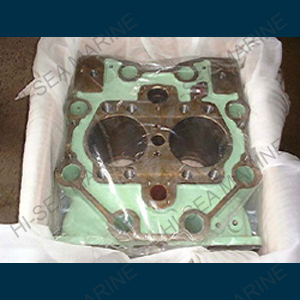 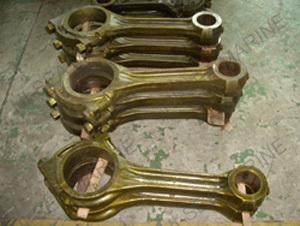 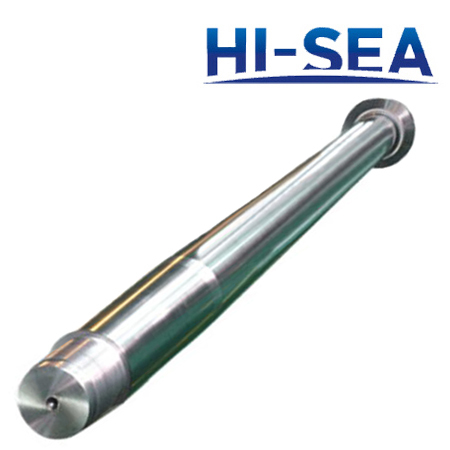 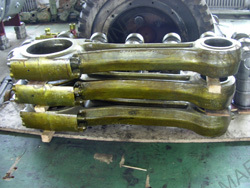 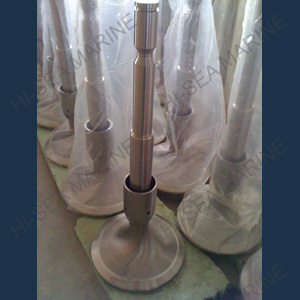 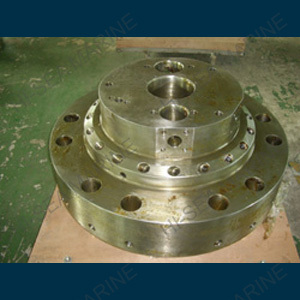 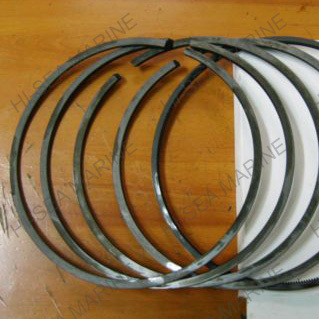 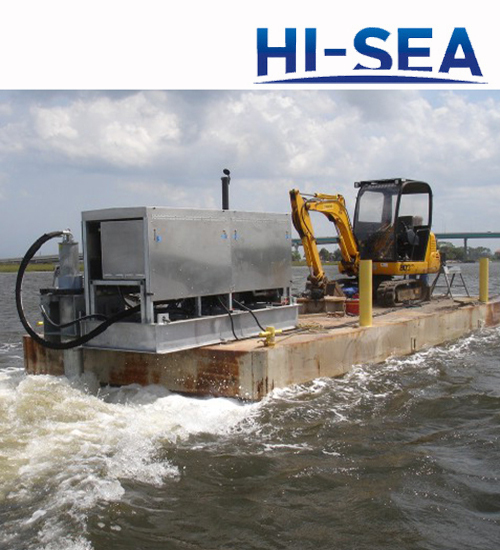 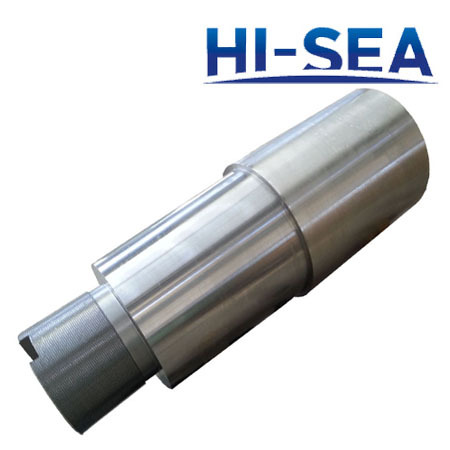 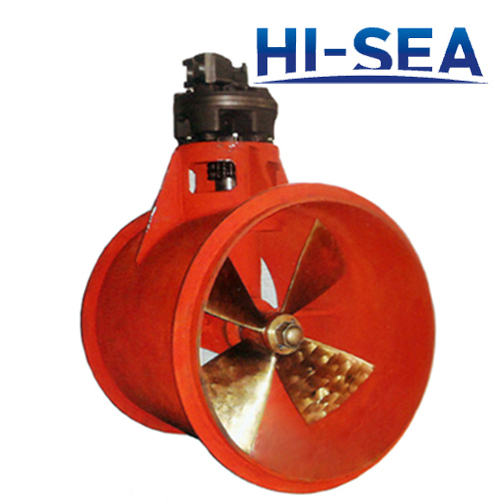 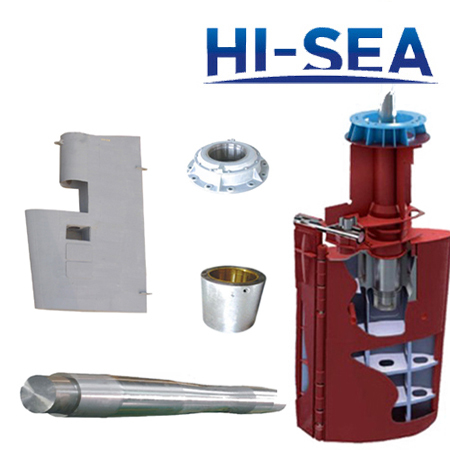 We makes heavy duty thrusters for marine applications from 20 to 15000 KW . 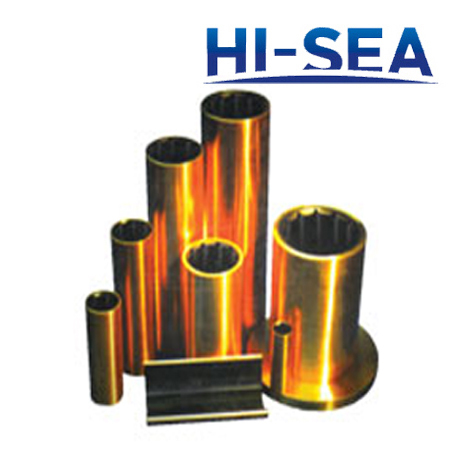 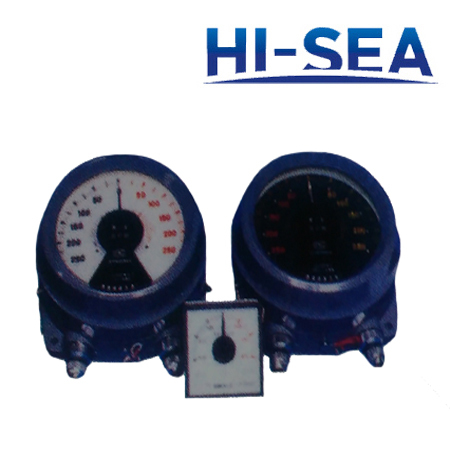 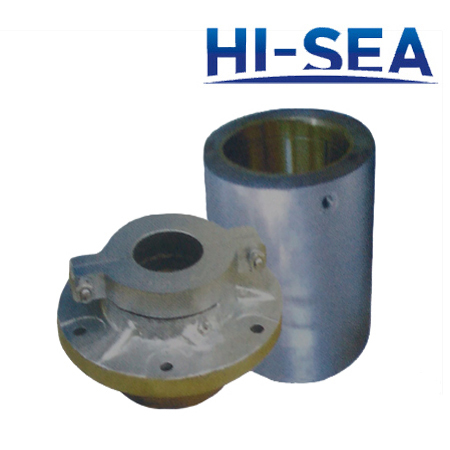 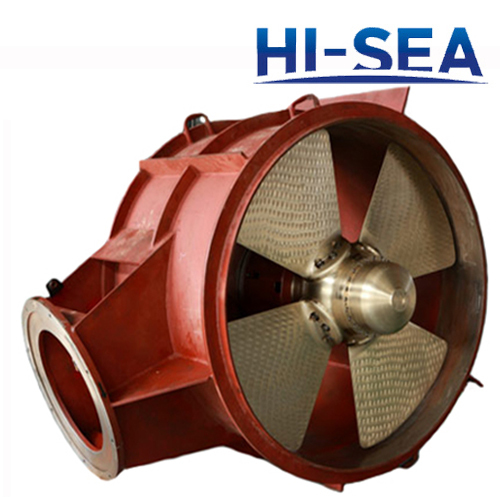 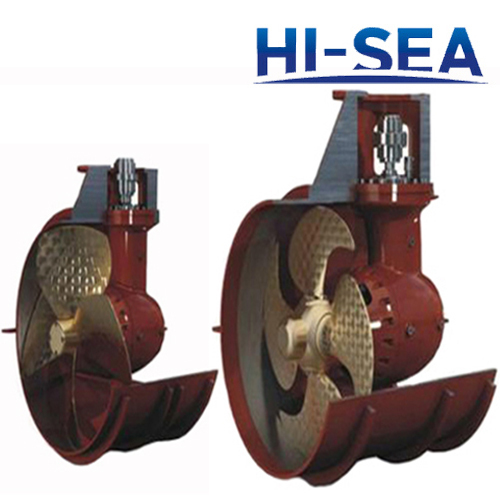 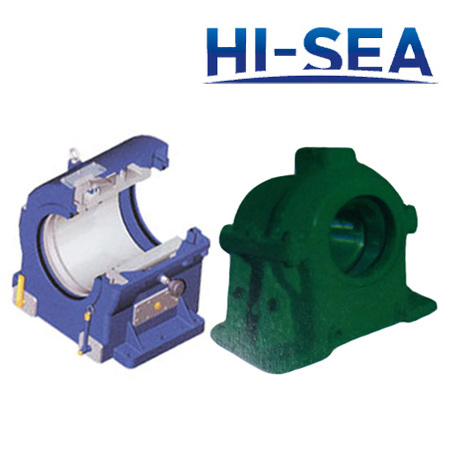 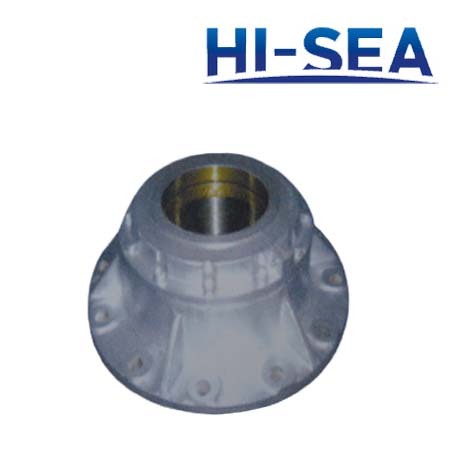 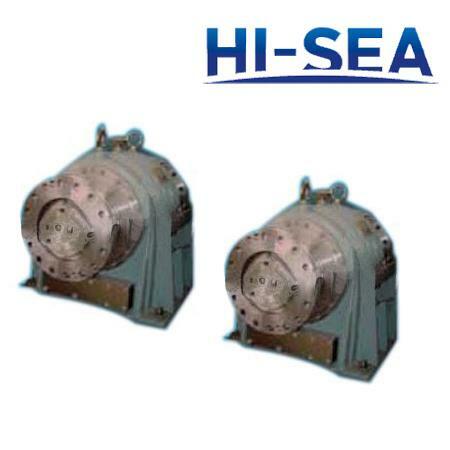 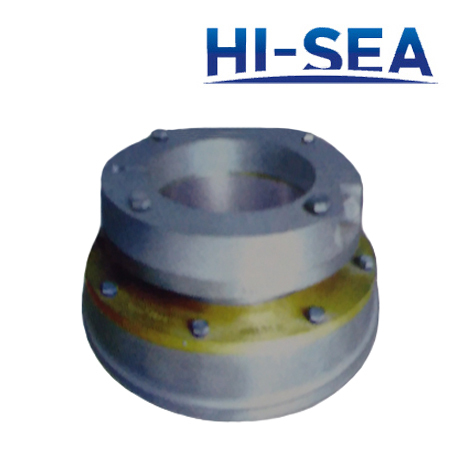 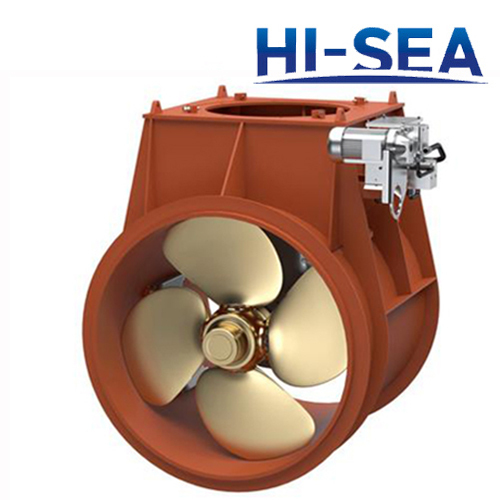 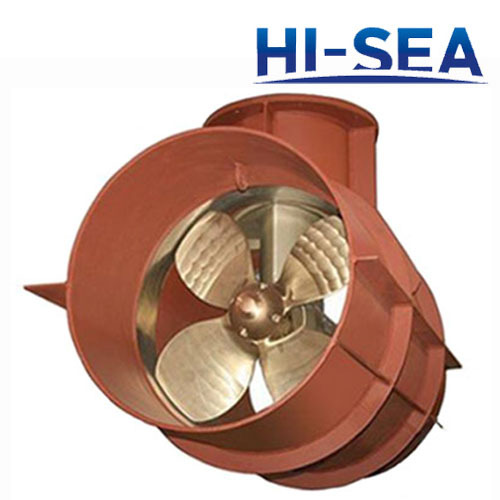 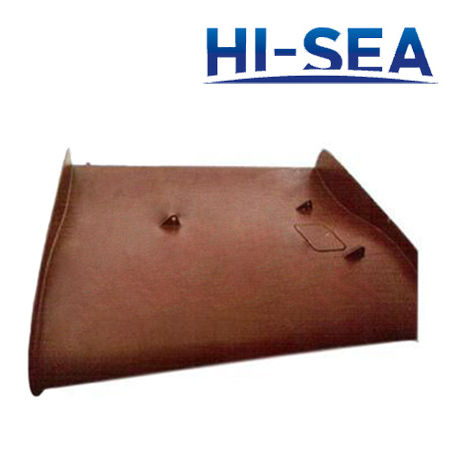 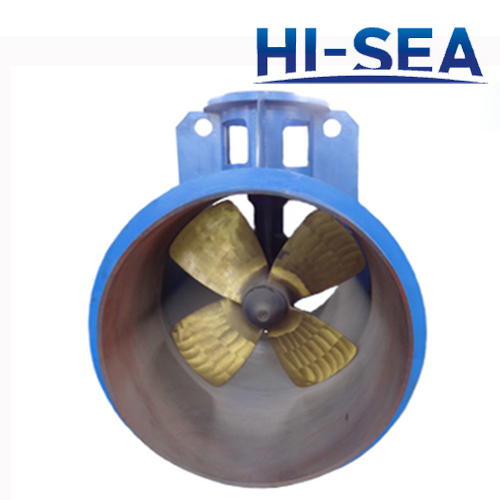 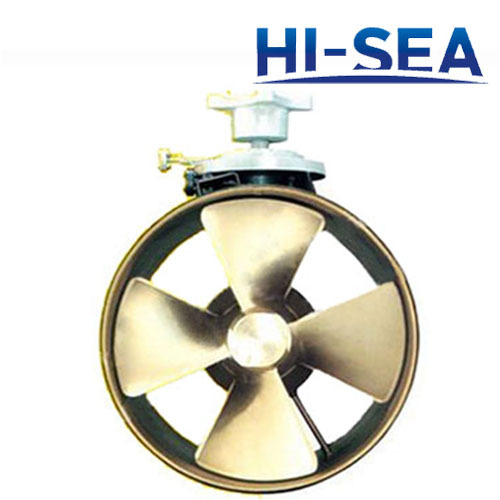 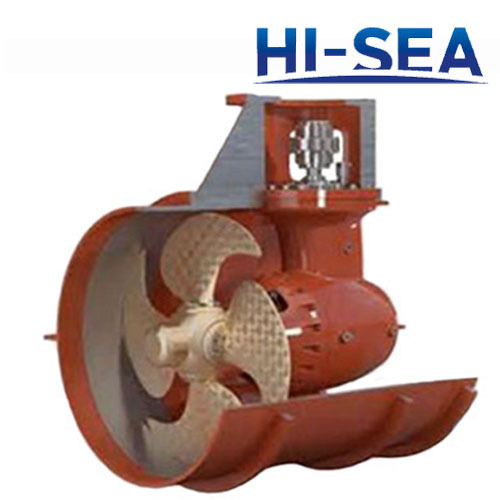 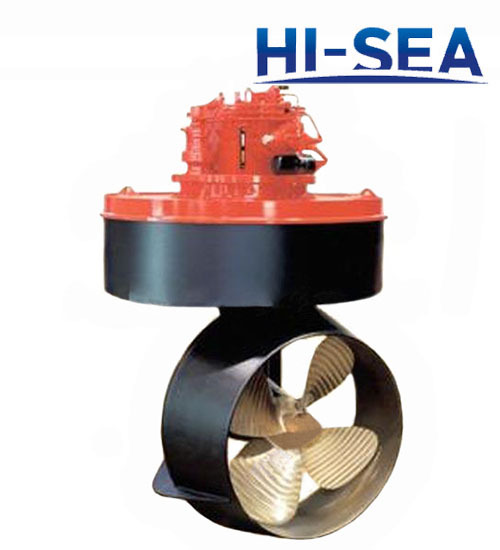 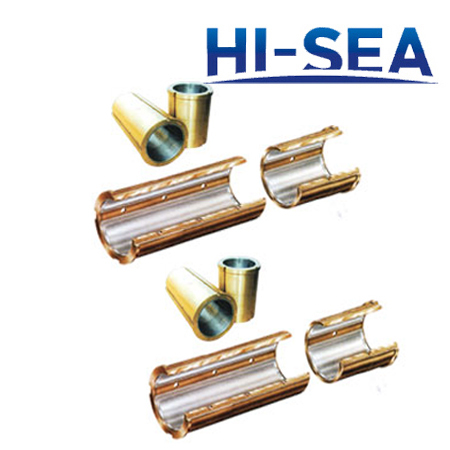 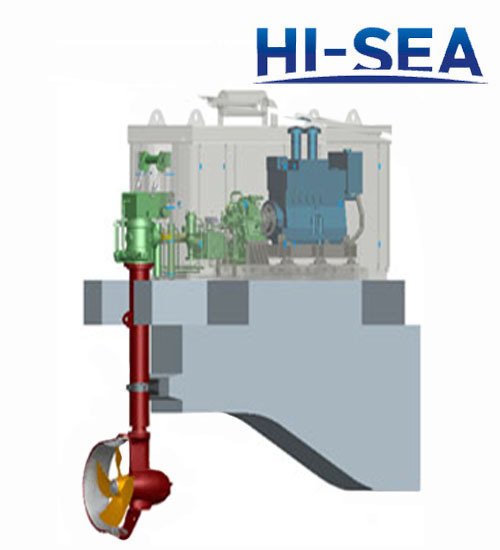 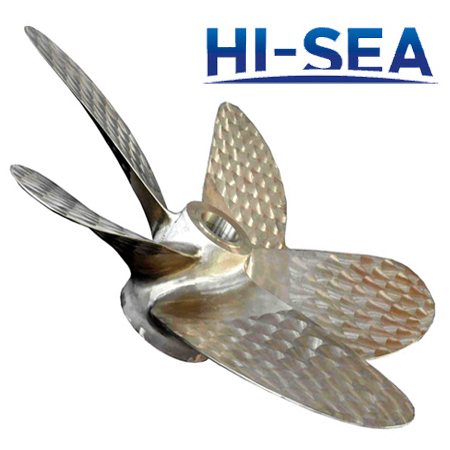 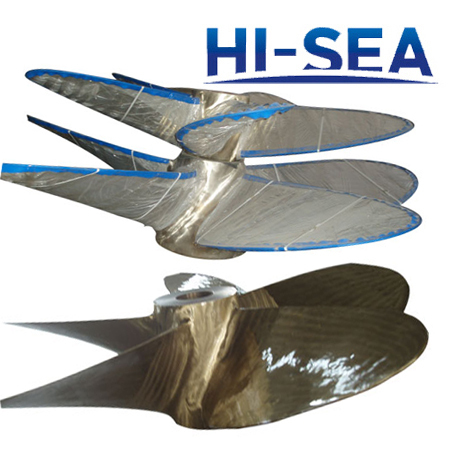 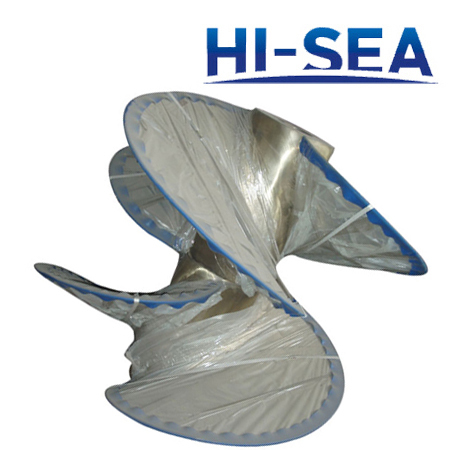 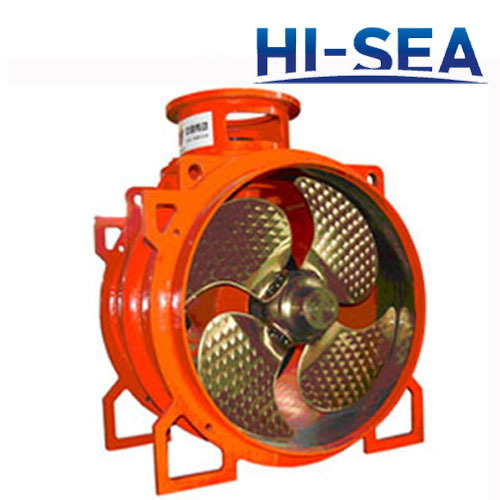 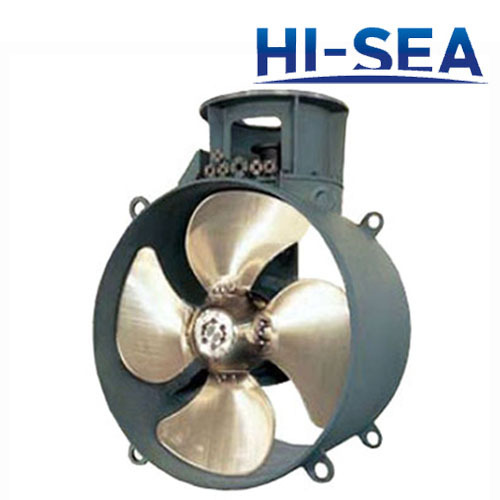 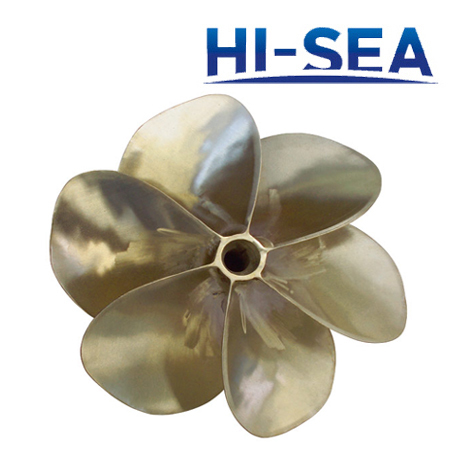 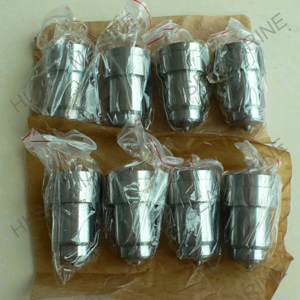 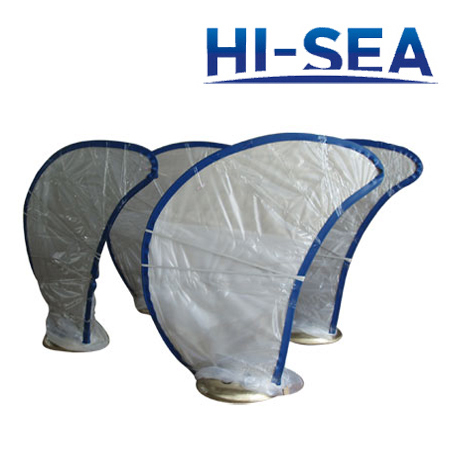 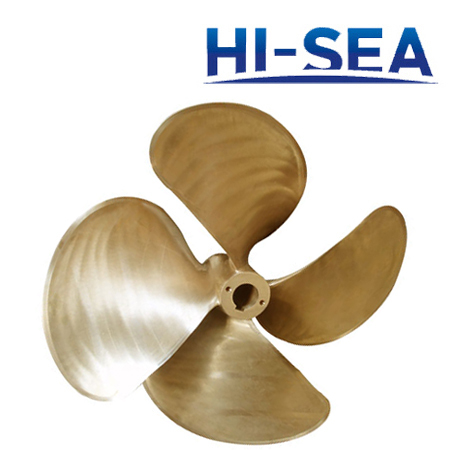 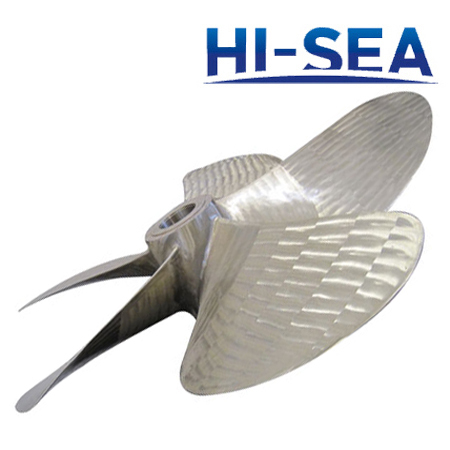 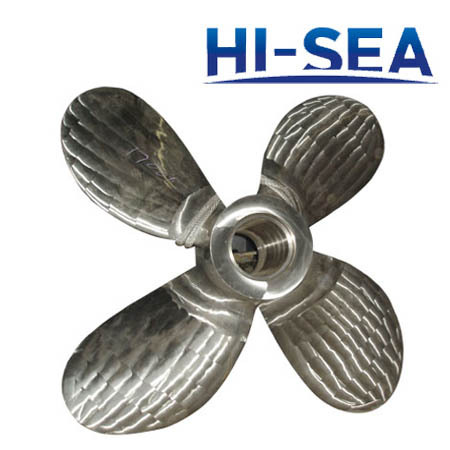 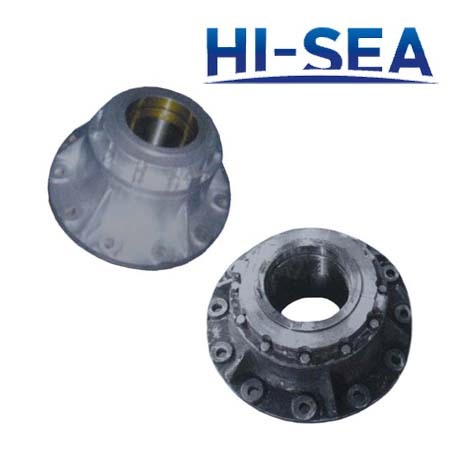 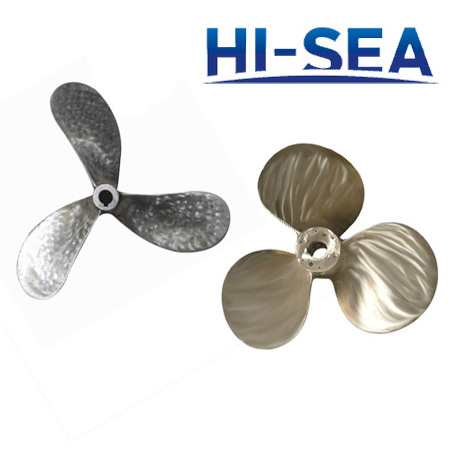 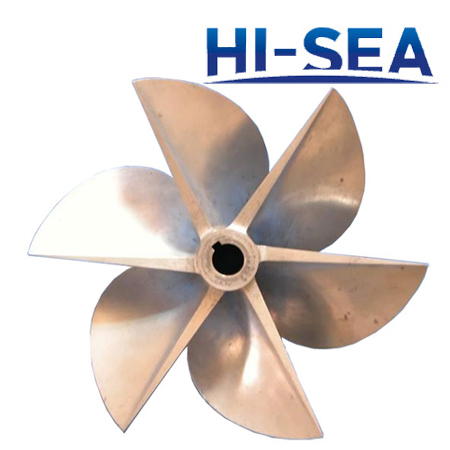 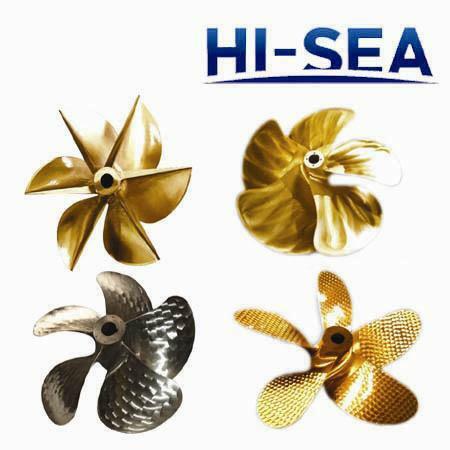 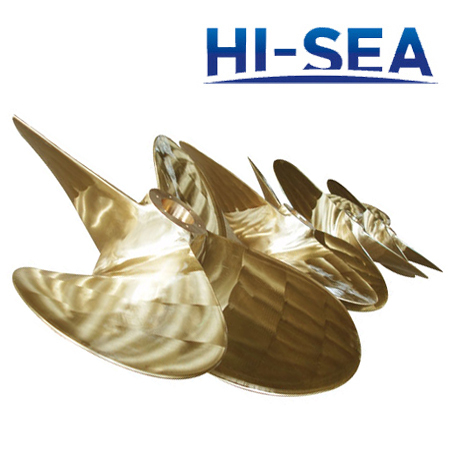 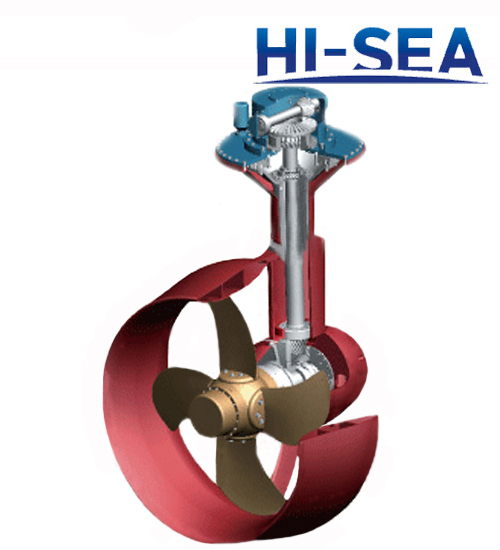 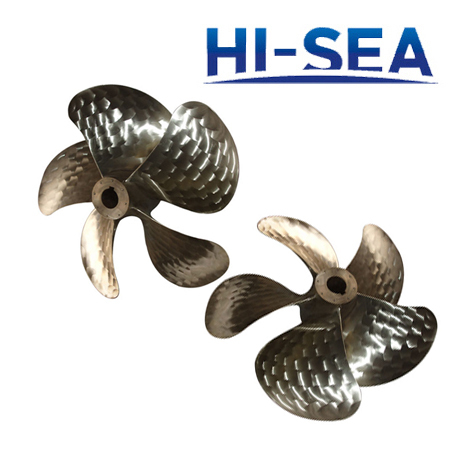 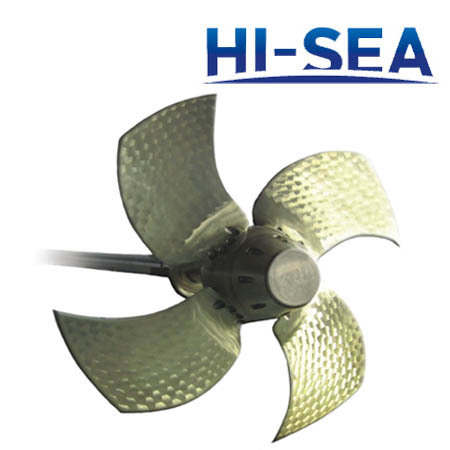 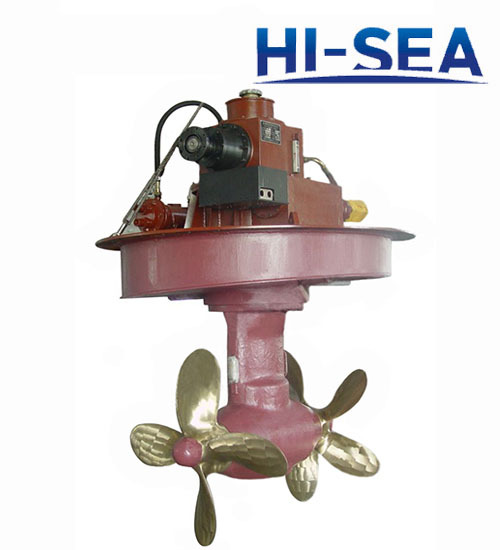 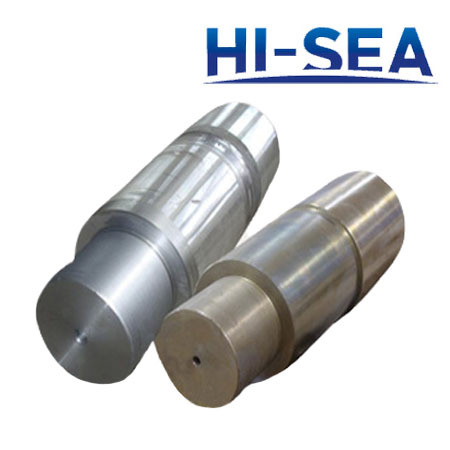 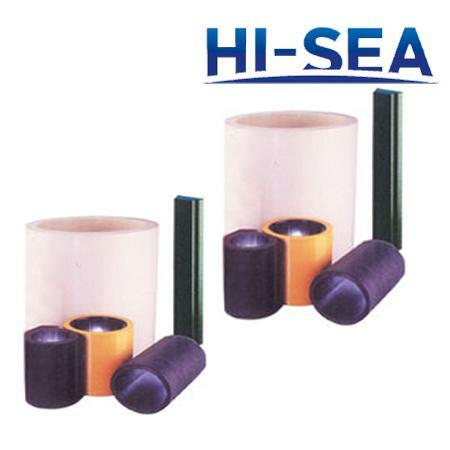 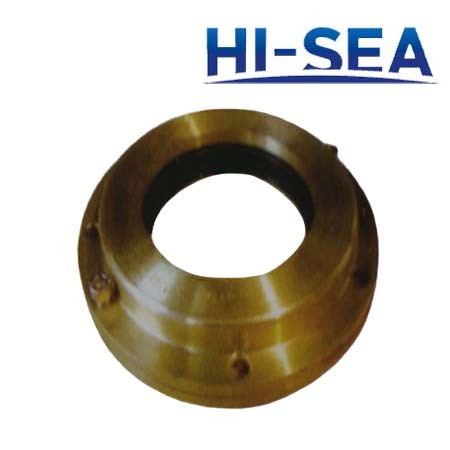 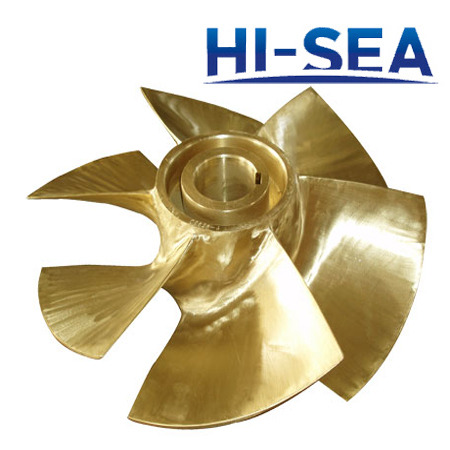 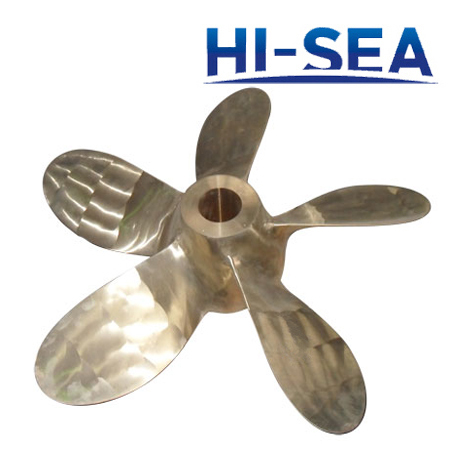 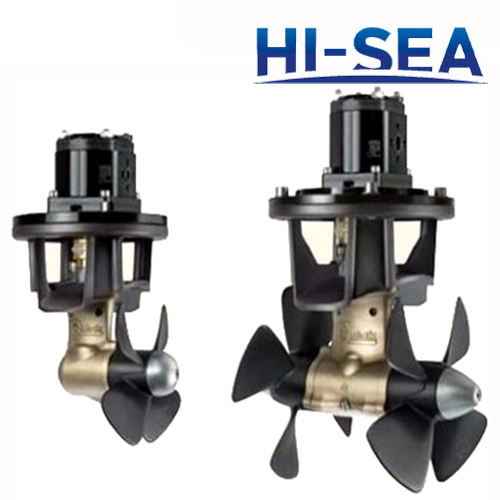 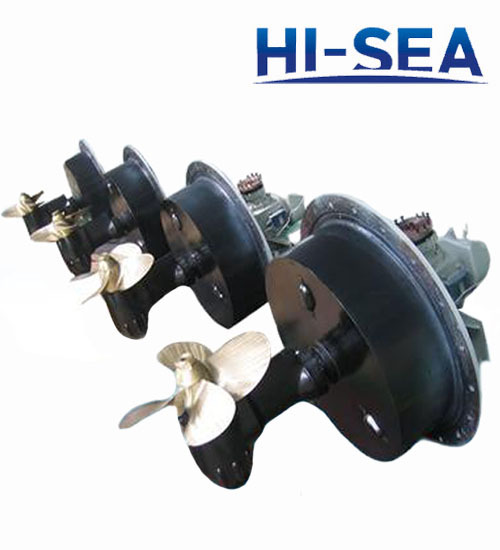 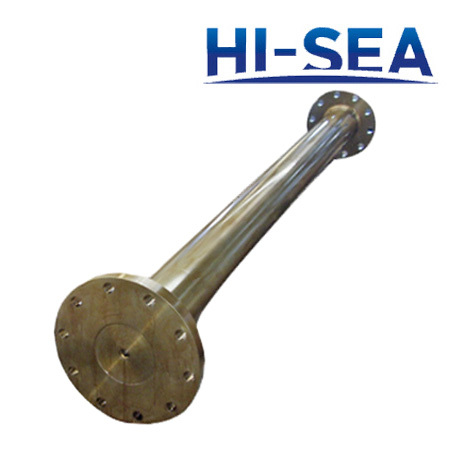 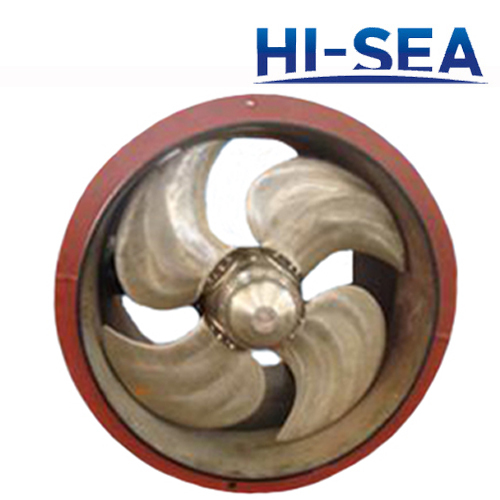 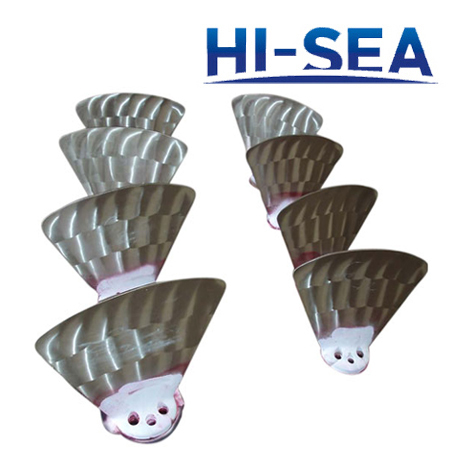 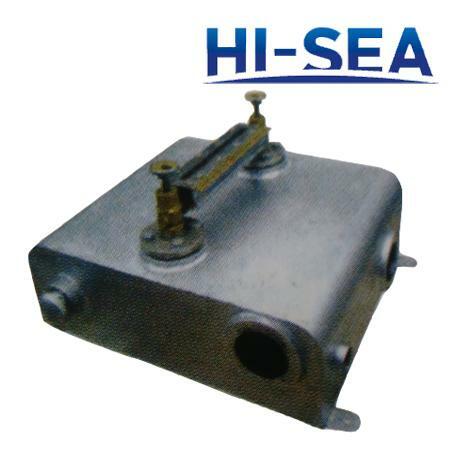 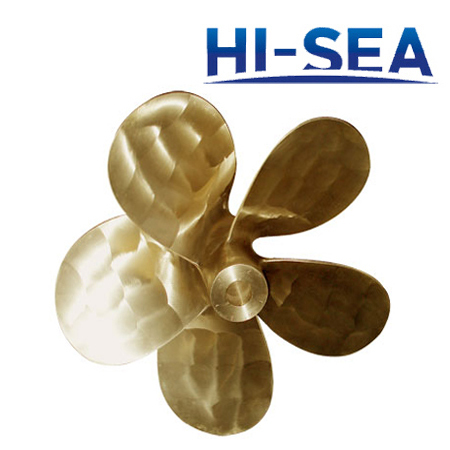 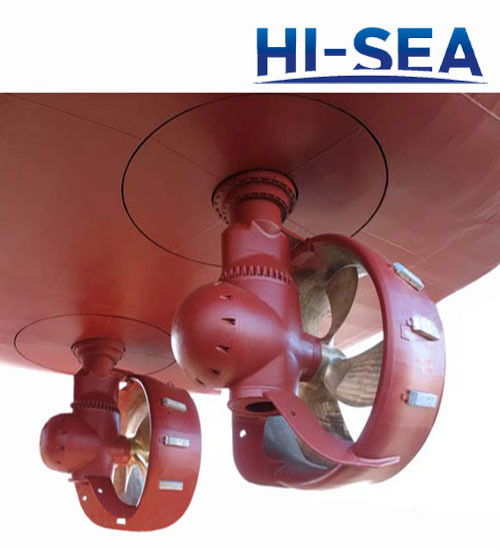 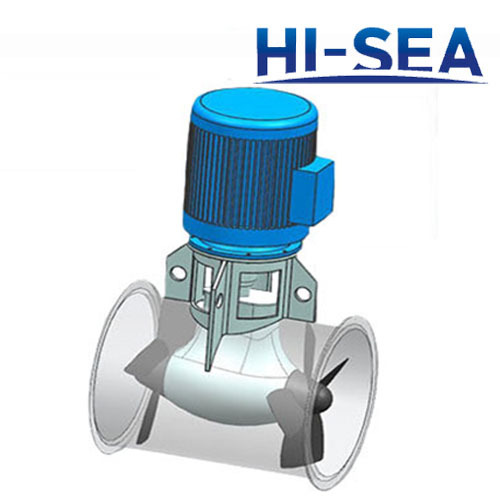 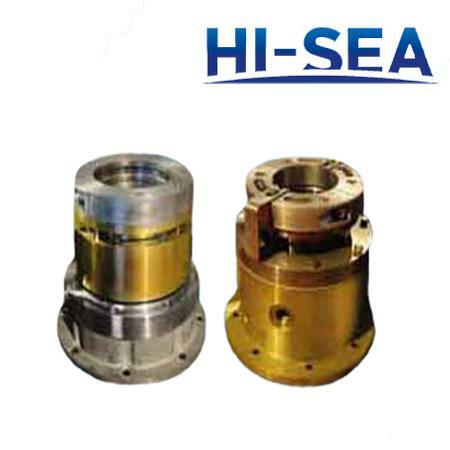 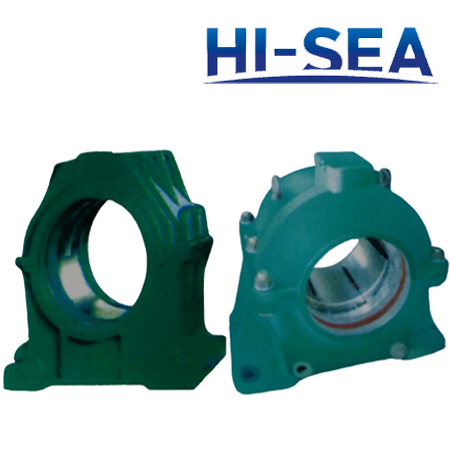 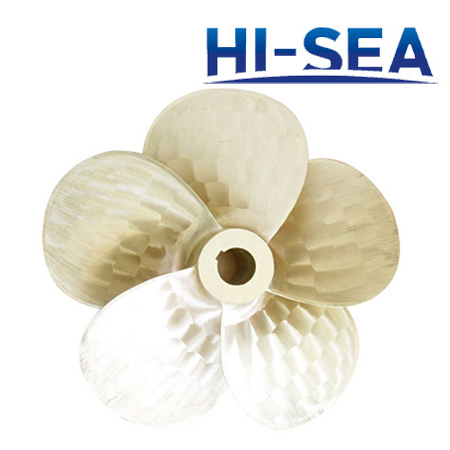 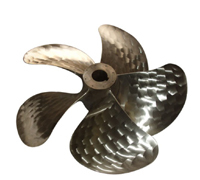 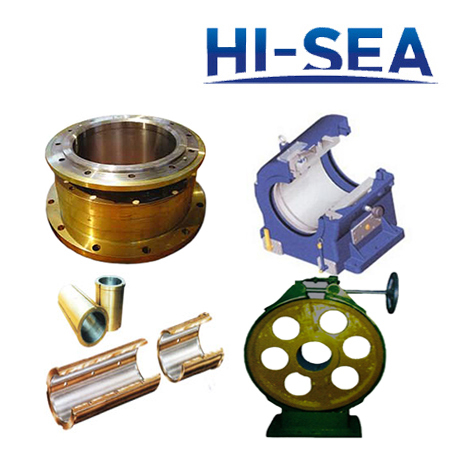 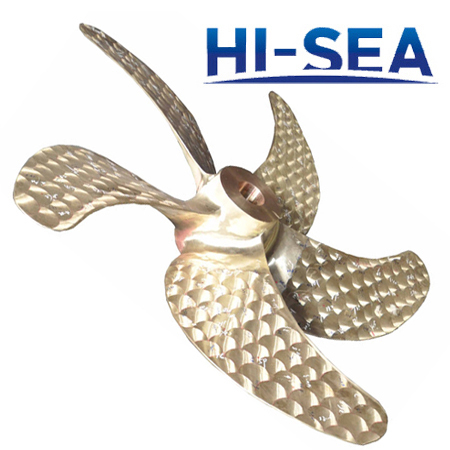 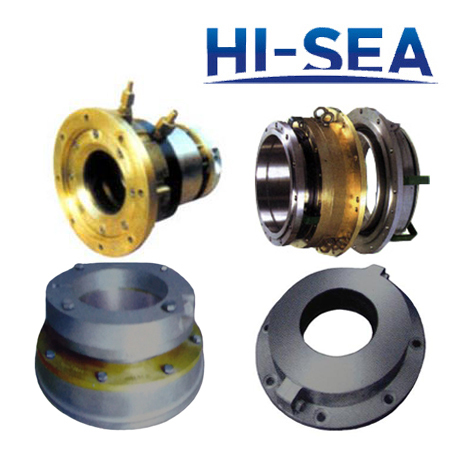 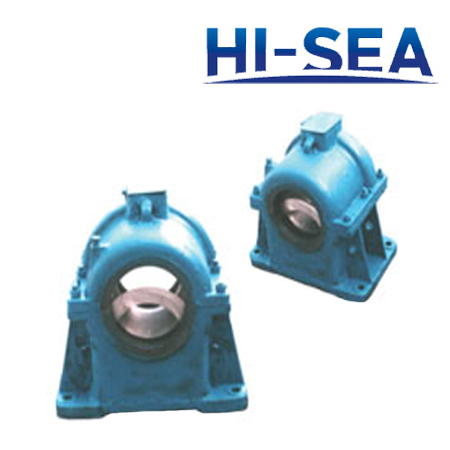 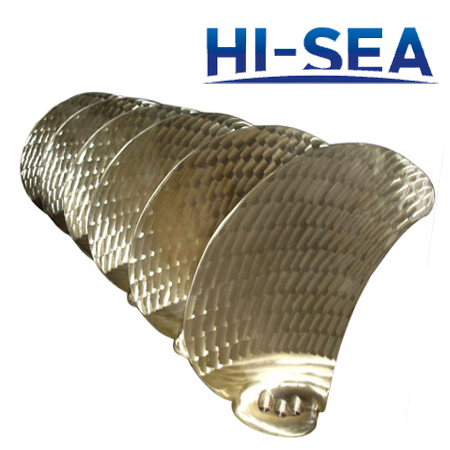 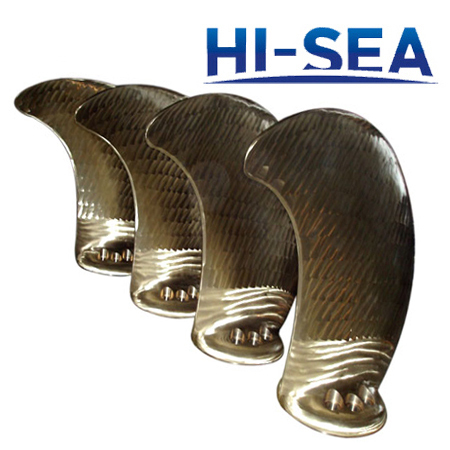 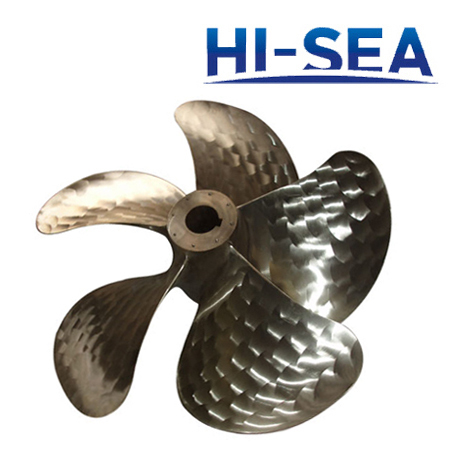 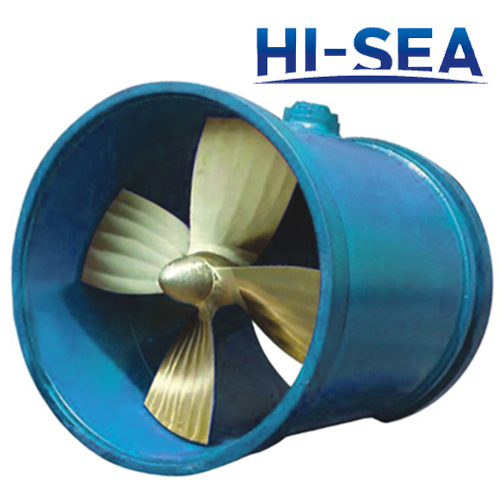 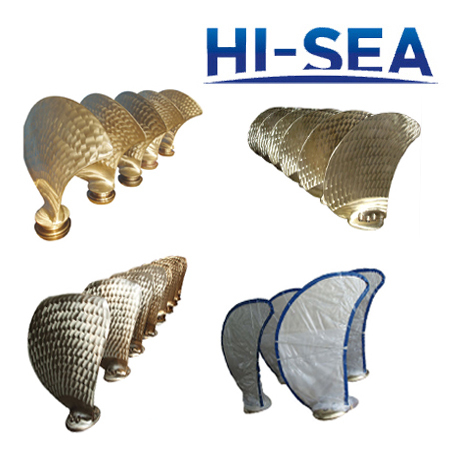 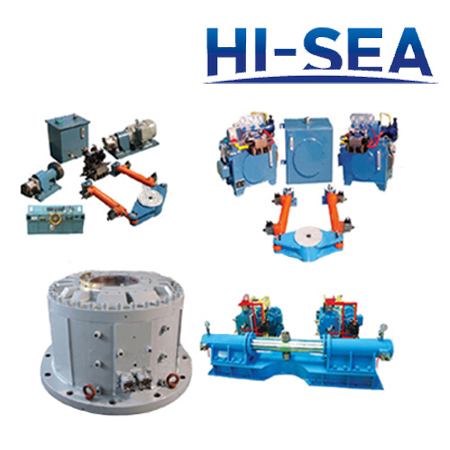 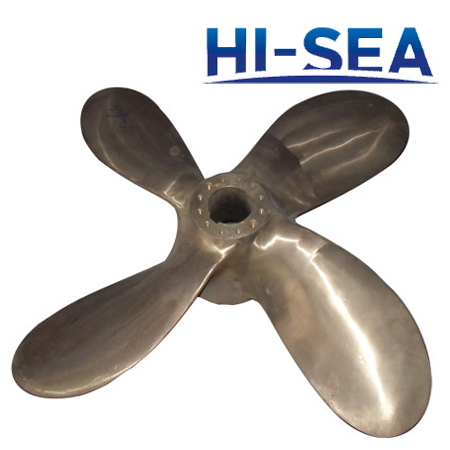 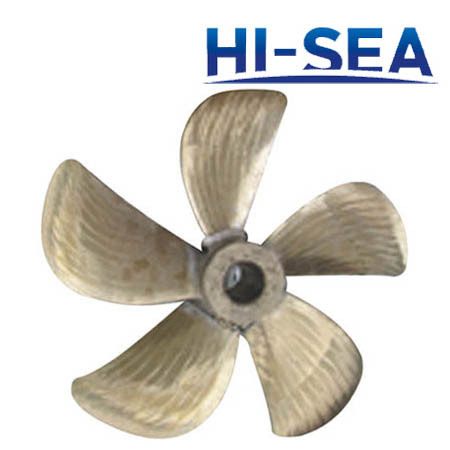 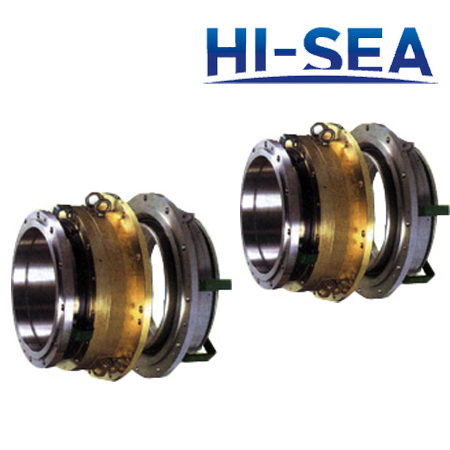 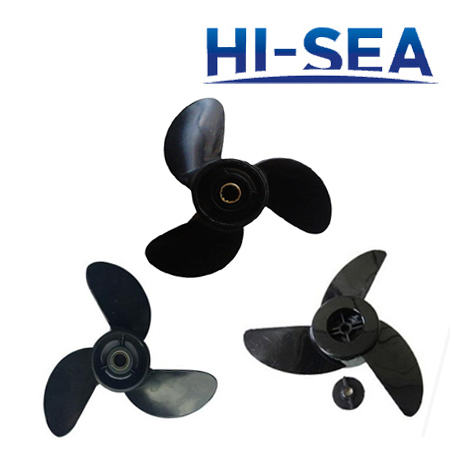 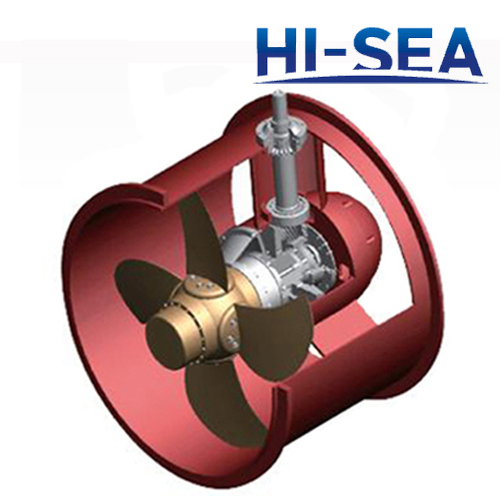 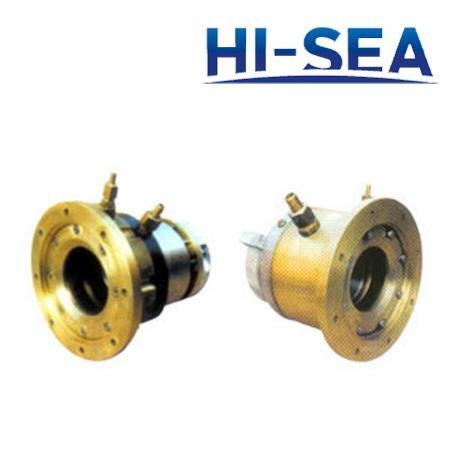 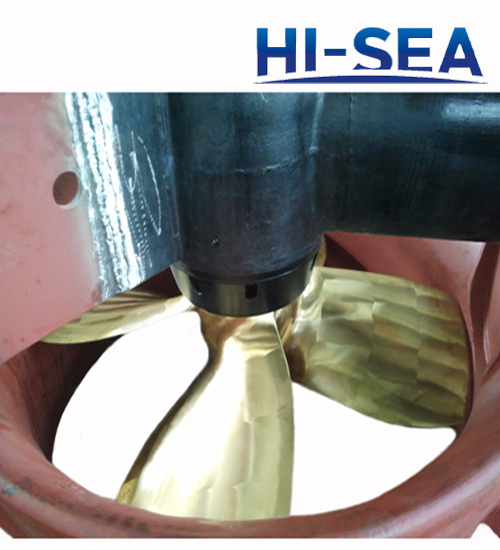 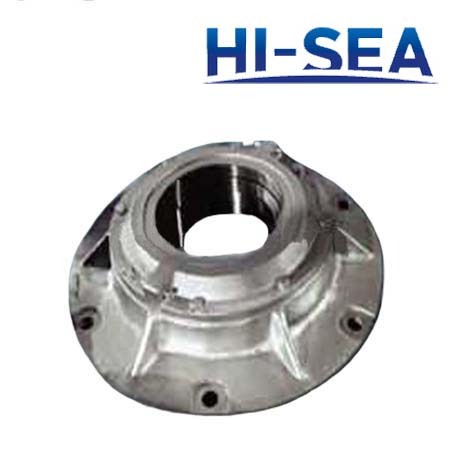 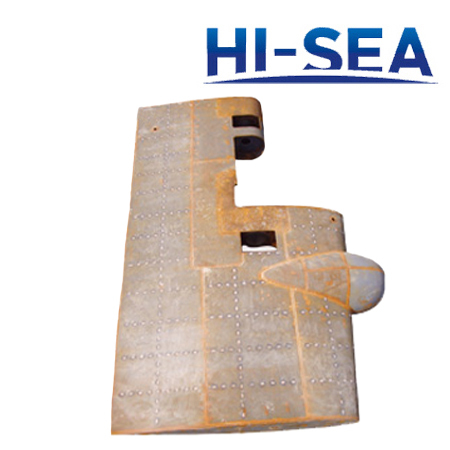 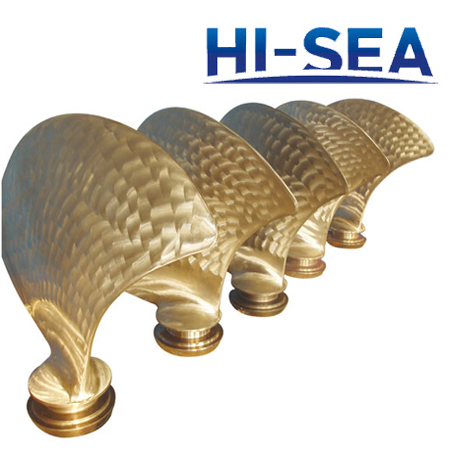 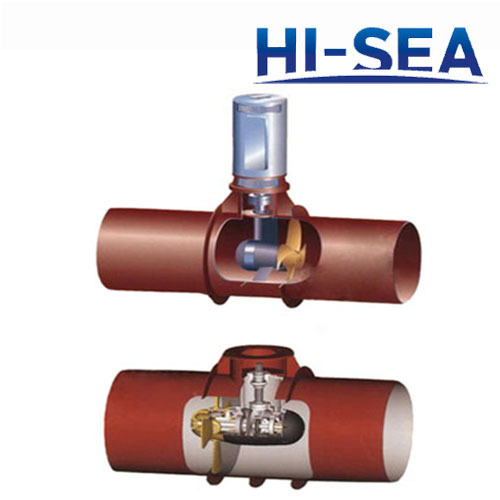 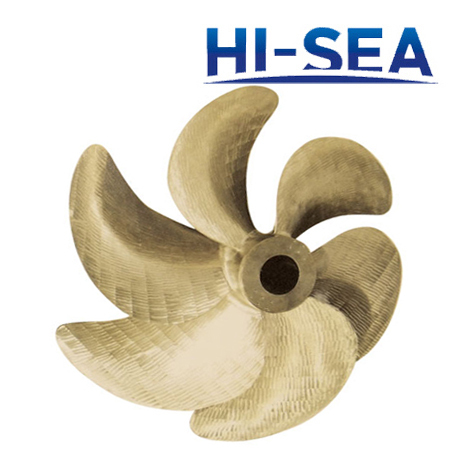 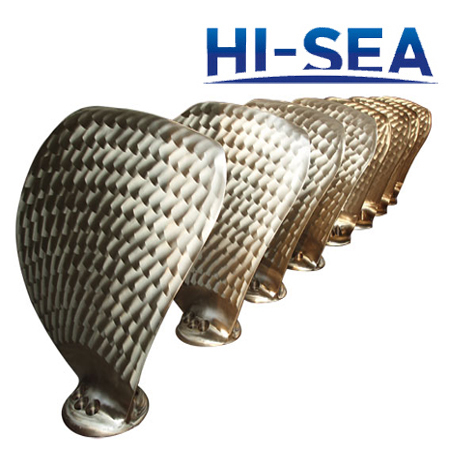 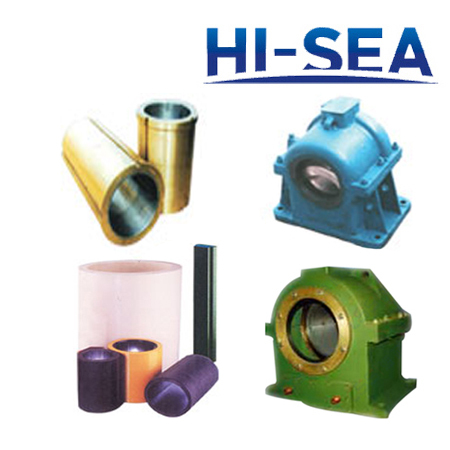 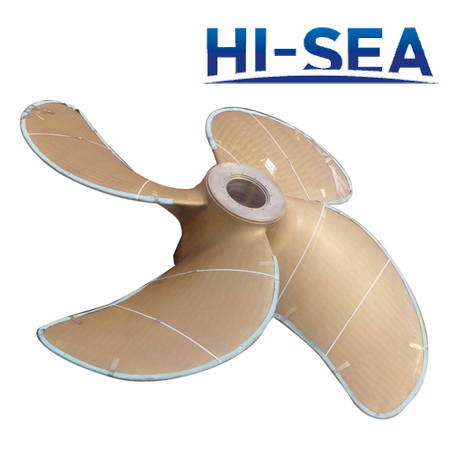 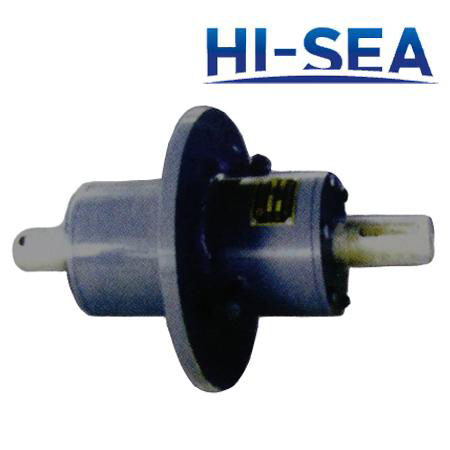 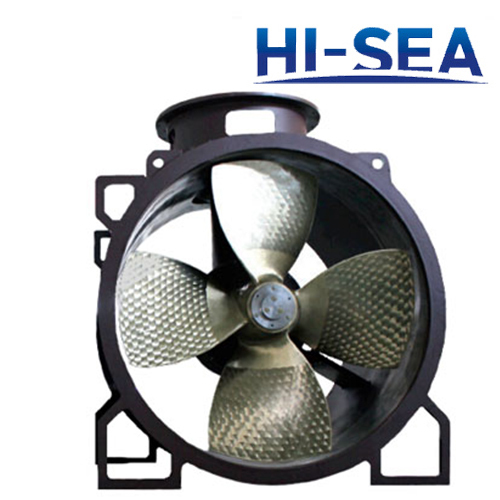 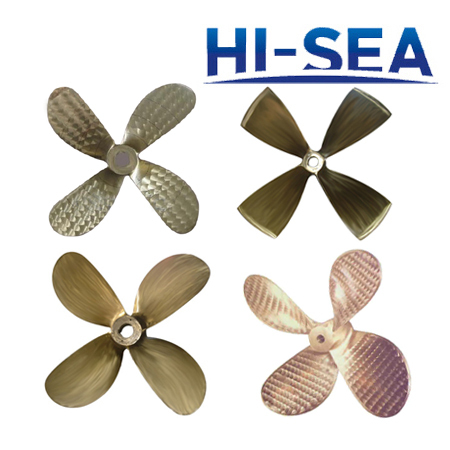 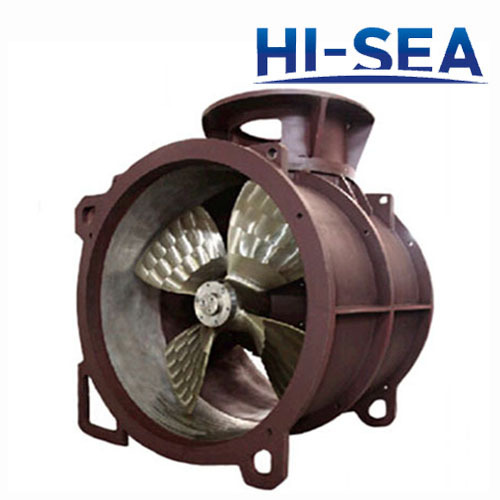 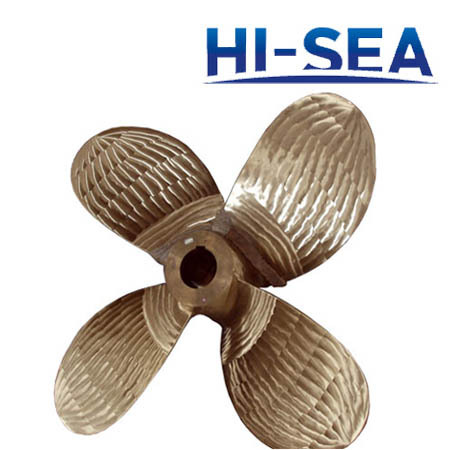 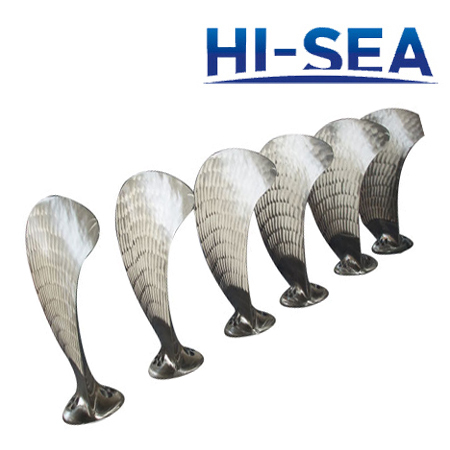 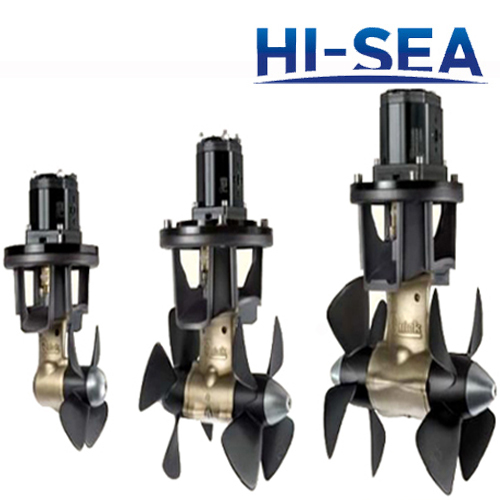 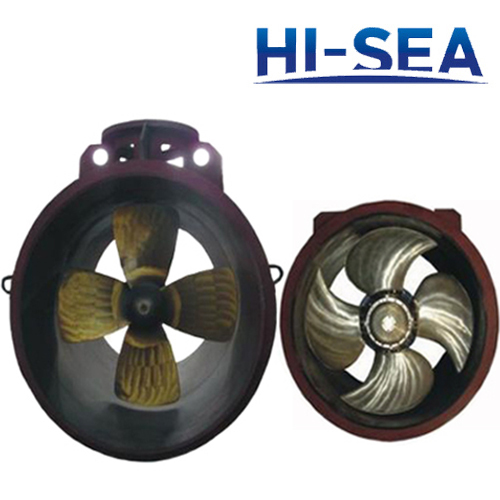 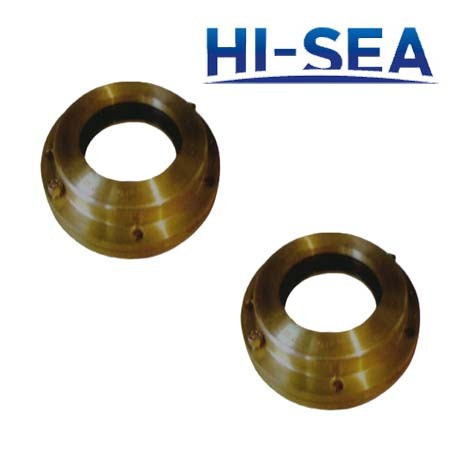 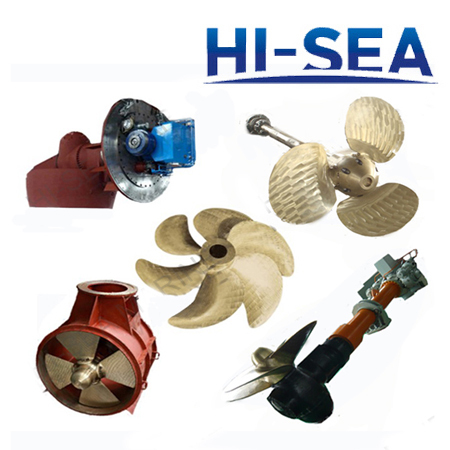 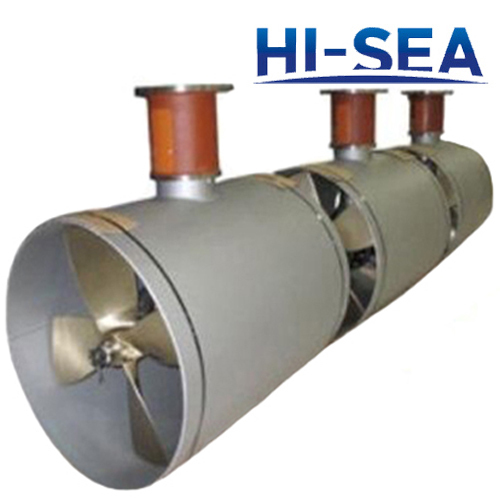 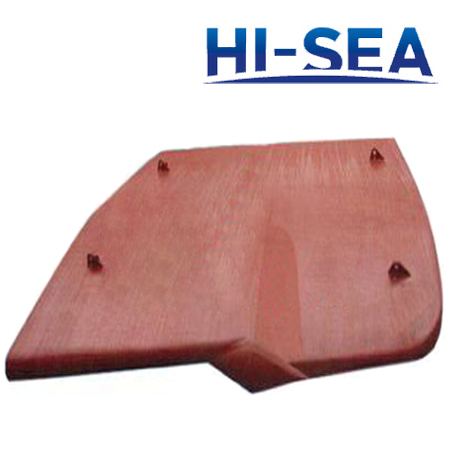 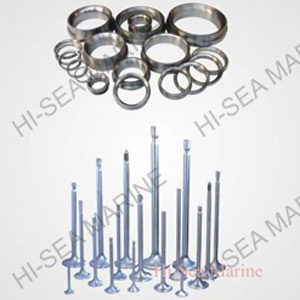 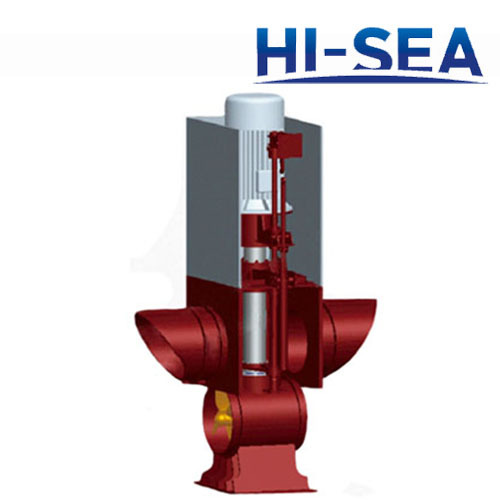 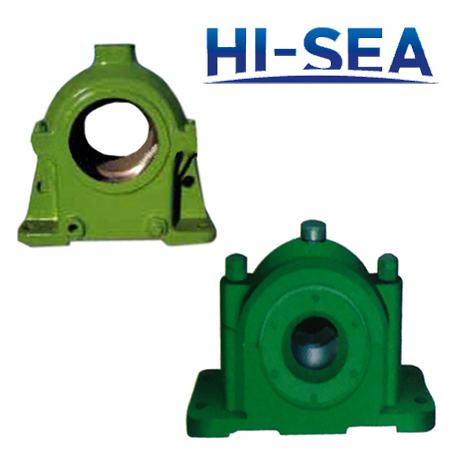 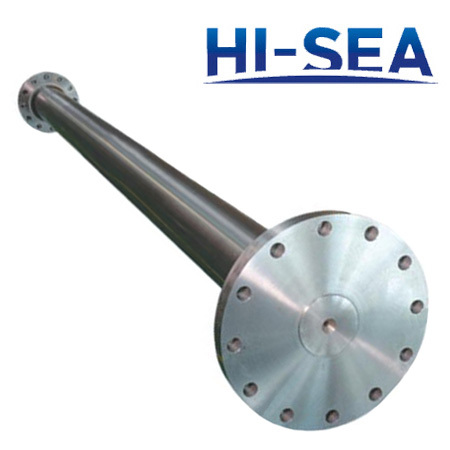 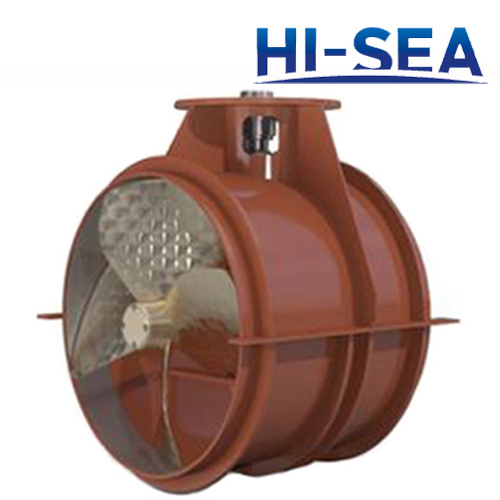 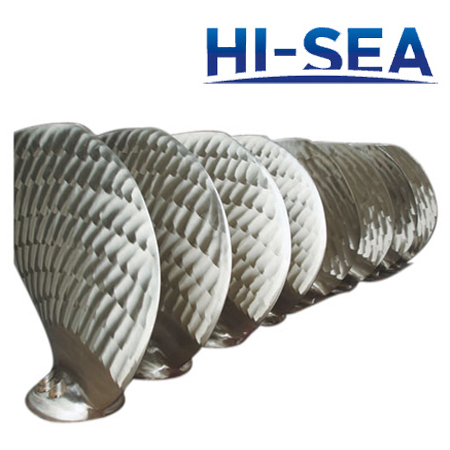 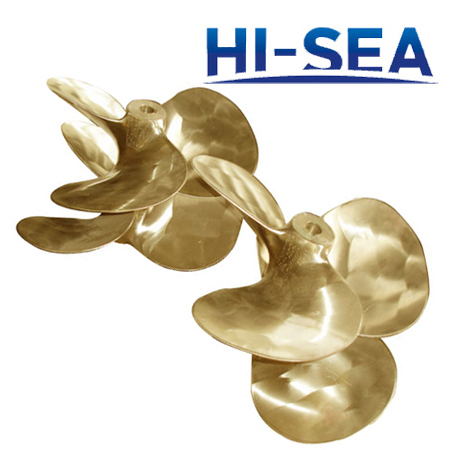 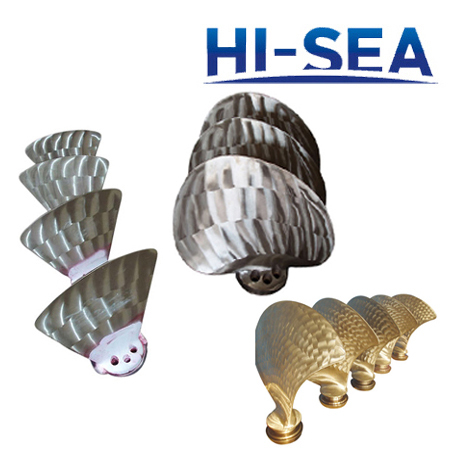 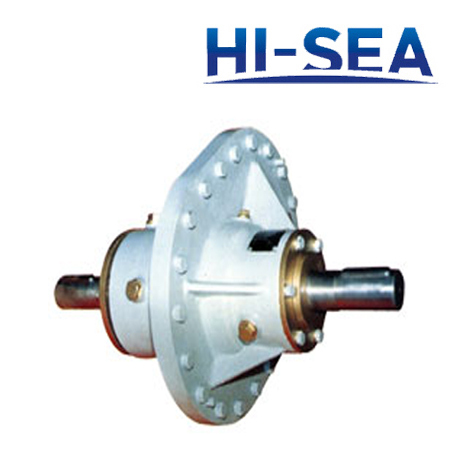 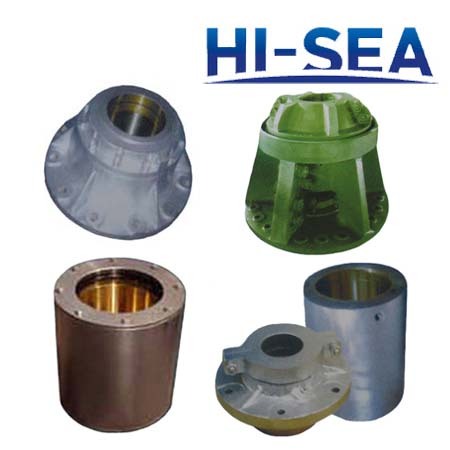 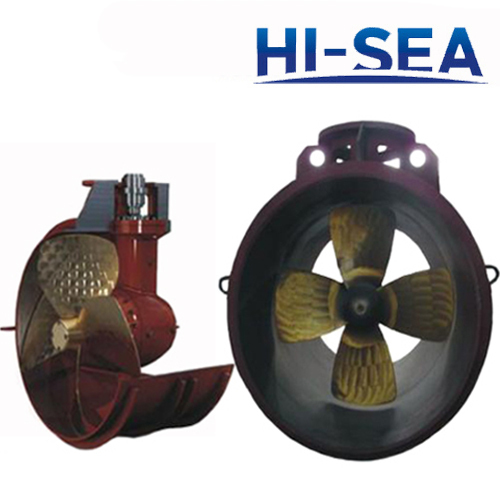 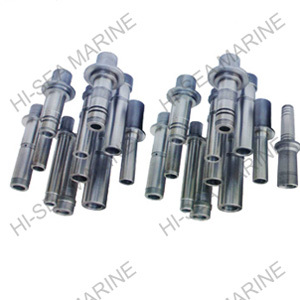 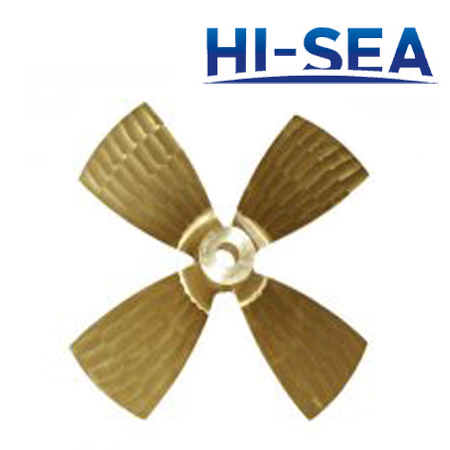 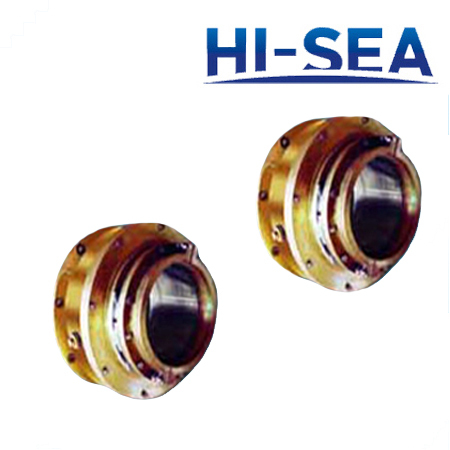 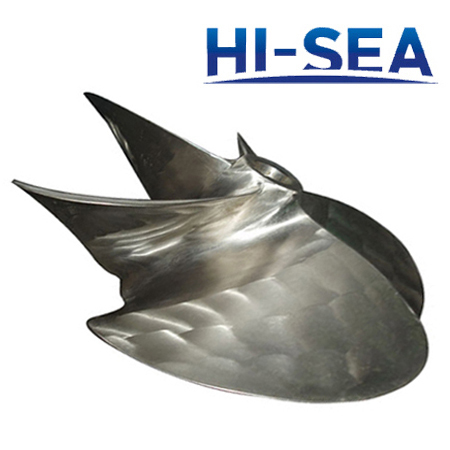 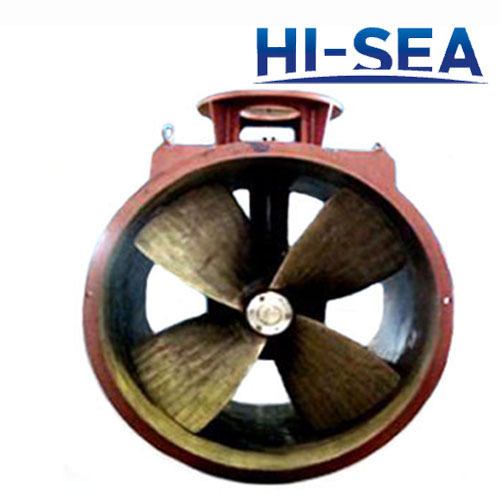 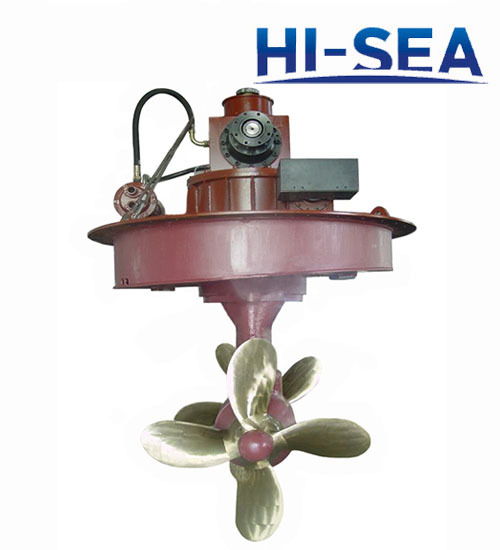 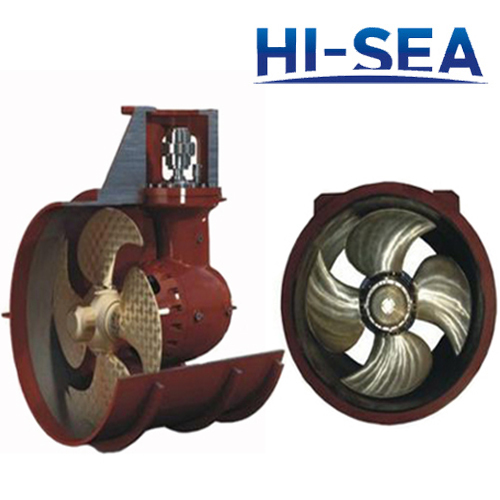 Our product lines include propulsion systems like CPP and FP propeller Bow Thrusters ,Azimuth Thrusters, Controllable pitch propeller propulsion system, Fixed pitch propeller propulsion system.We can supply ABS, GL,BV, LR, CCS,RINA,NK etc main classification society certificate. 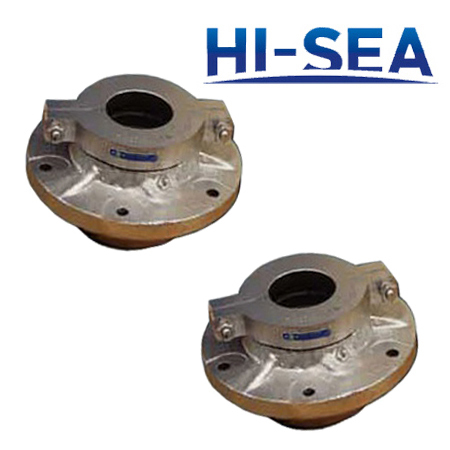 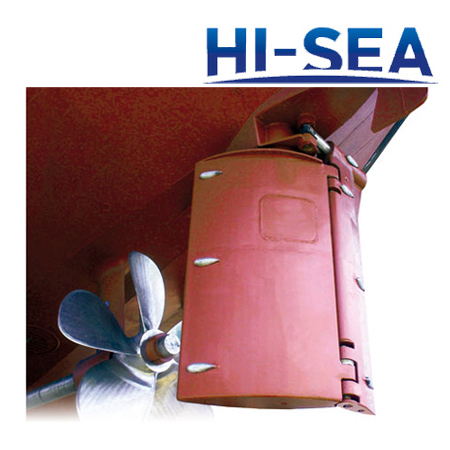 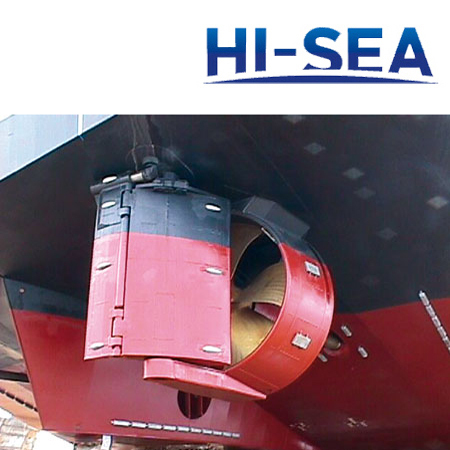 Thrusters are used for main propulsion, slow speed maneuvering, and dynamic positioning of barges or displacement hulls. 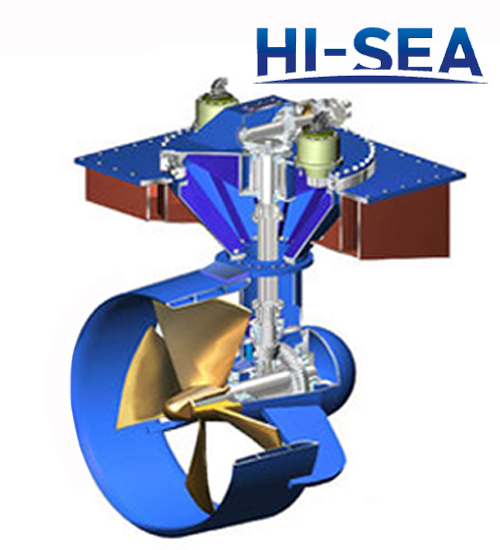 Propulsion units can also be fixed or azimuthing and close fitted to the hull such as with Z or L drive propulsion, or stem mounted and tiltable with lengths up 35 feet (10m) for the 2000hp (1500kW) hydraulic thrusters. 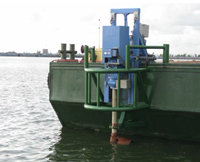 Thrusters can be provided as complete packages with prime mover and controls, integrated or modular.